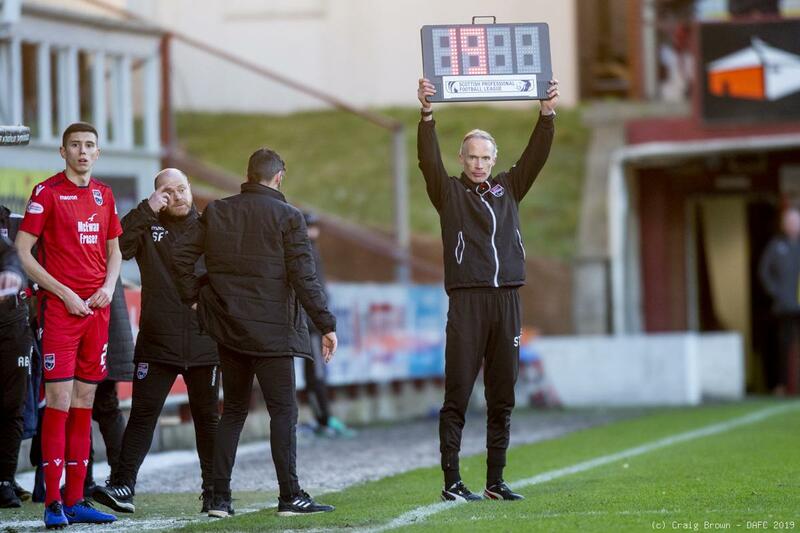 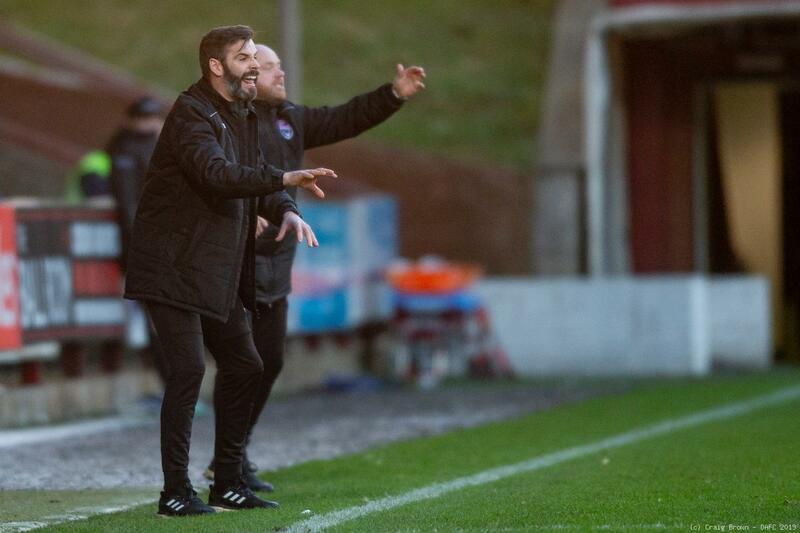 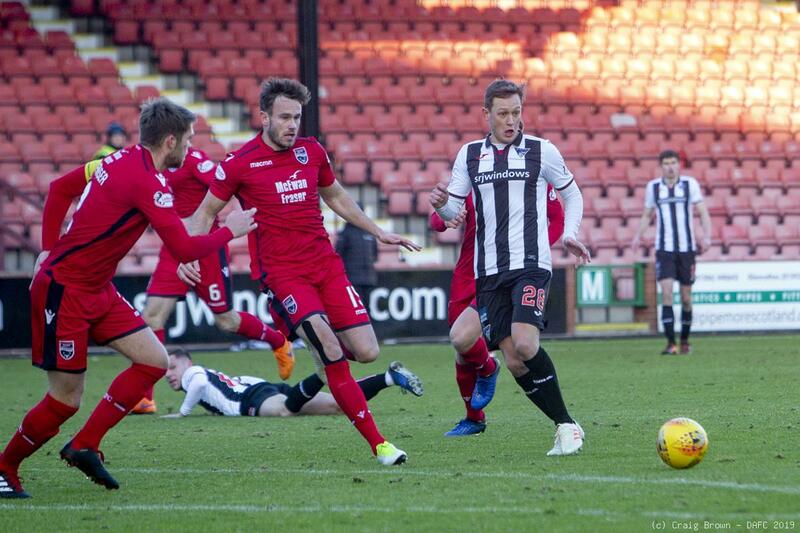 Stevie Crawford’s first home match in charge of Dunfermline Athletic was against league leaders Ross County. 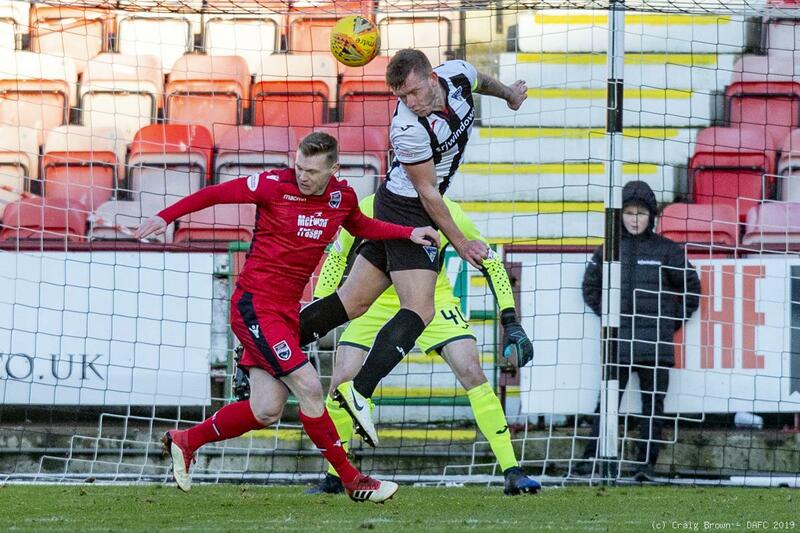 He made two changes from the side that drew with Morton, transfer deadline day signing Bruce Anderson came in for Callum Smith and Ryan Williamson started in the absence of the injured Tom Beadling. 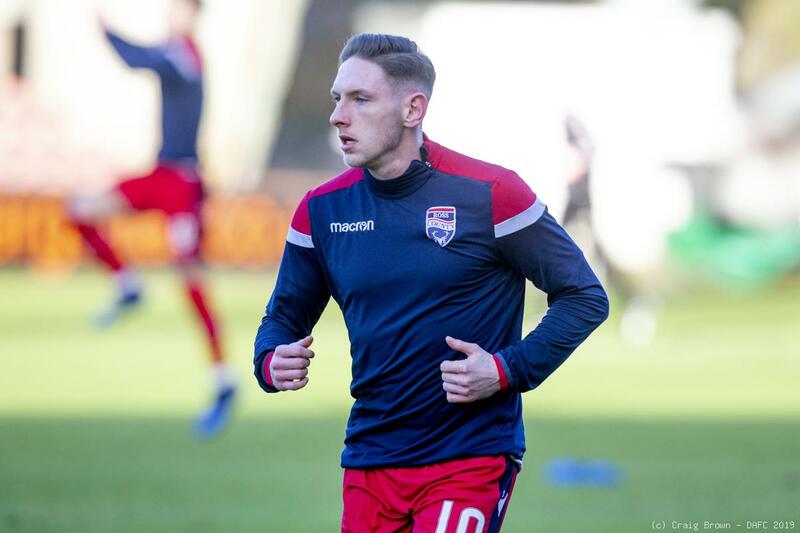 Ross County made one change from the side that defeated Alloa 2-0 the previous week with Callum Semple replacing Sean Kelly. 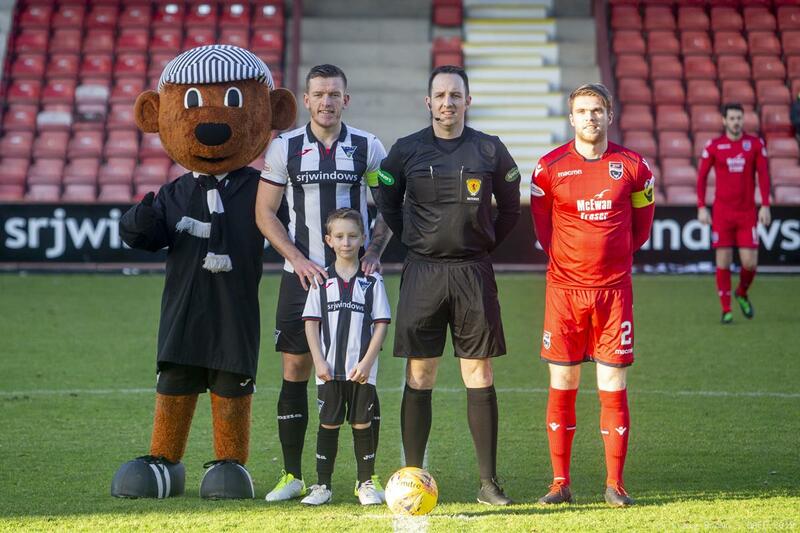 The visitors won the toss and asked the Pars to kick off into the low winter sun. 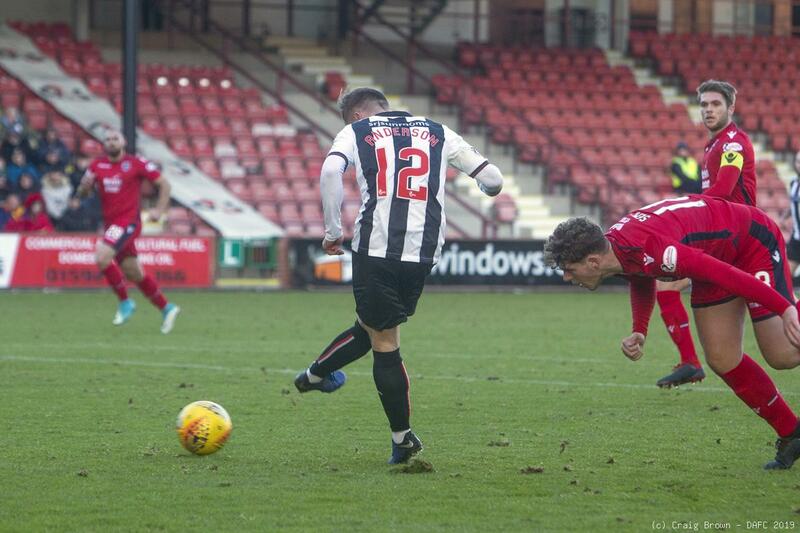 First shot at goal came on two minutes was from James Craigen and although Anderson tried to help it on the effort went wide. 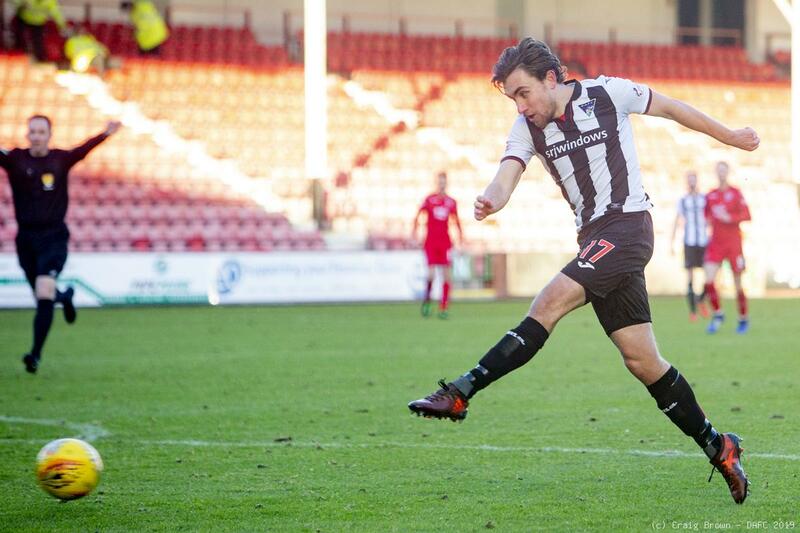 Then within a minute Joe Thomson crashed a low 25 yard effort outside the right post. 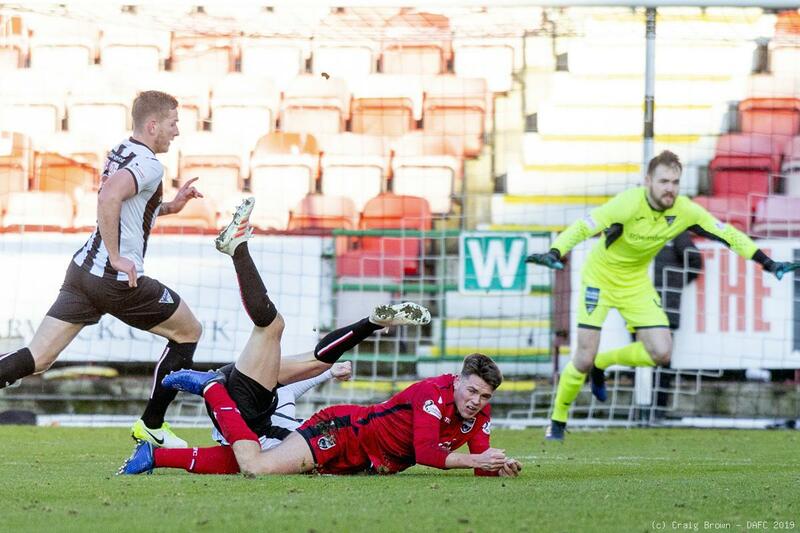 The first real County effort came after they were able to lob a cross over from the left touchline that Brian Graham headed forcefully down and on target causing Ryan Scully to get down rapidly to keep his goal in tact. 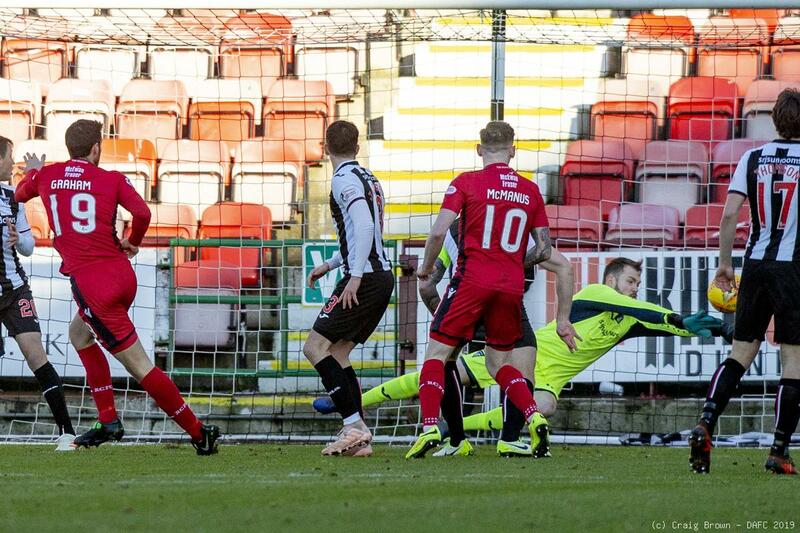 A ninth minute breakaway had Danny Devine back pedalling with Lee Ashcroft and Craigen trying to get back. 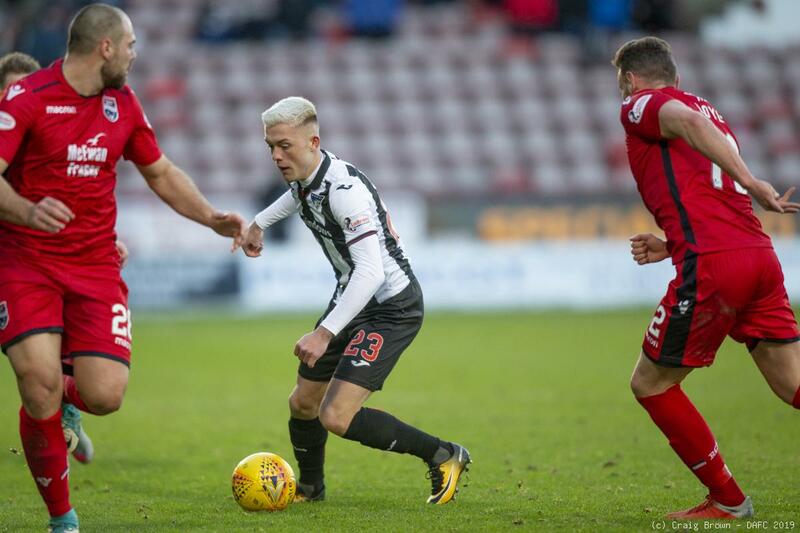 The latter got entangled with Declan McManus, earning himself a ninth minute yellow card and the visitors a free kick 24 yards out. 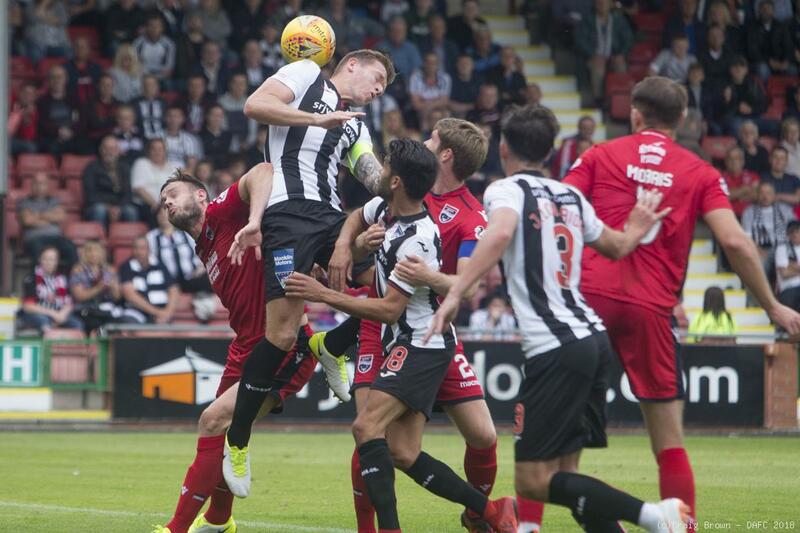 Billy McKay sent that over the six man wall and over Scully’s bar. 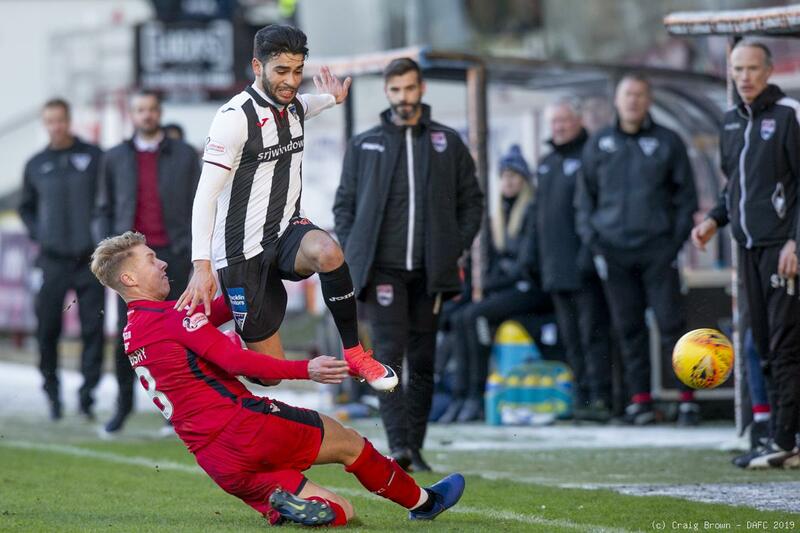 Faissal El Bakhtaoui earned a 12th minute corner but when Craigen sent that in from the right refeee Barry Cook blew play up for an infringement despite the ball being at Anderson’s feet. 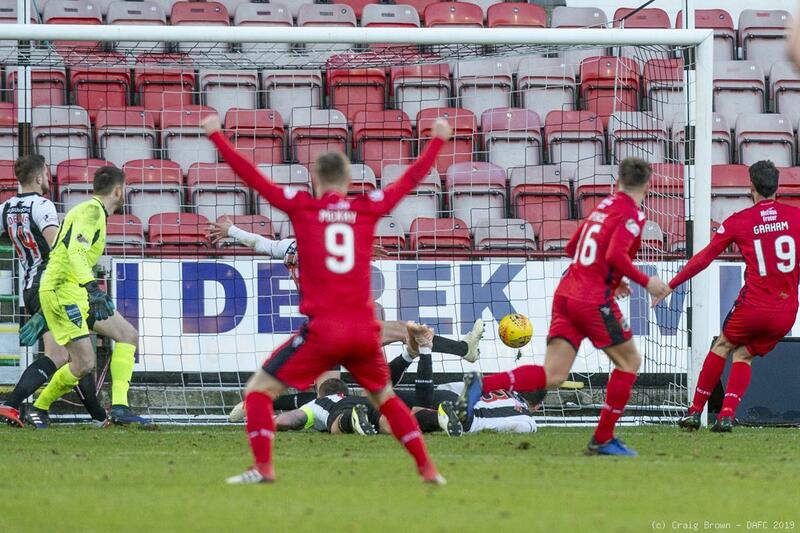 Five minutes past before Dunfermline turned defence into attack, Thomson swinging the ball out of his own box for Bakhtaoui on the left wing and his precision pass forward was ideal for Anderson to run on to and head in on goal. 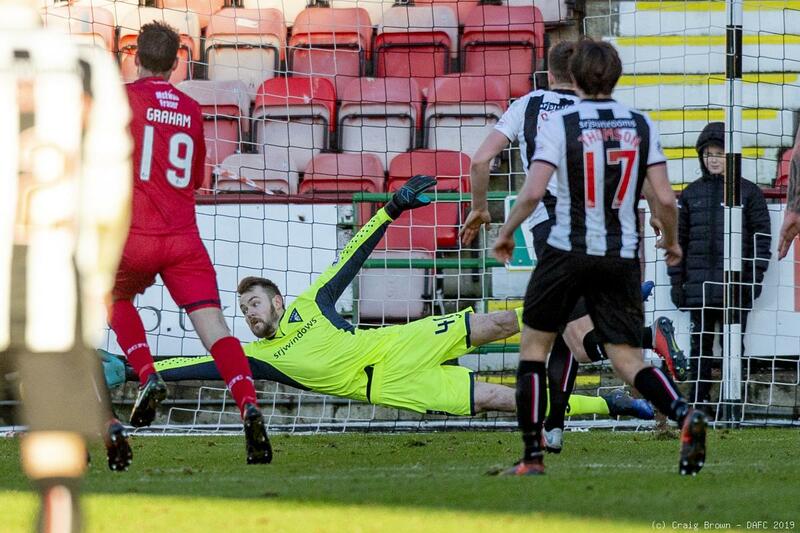 He was not to be the immediate hero however as Jamie Lindsay slid in to deny the shot. 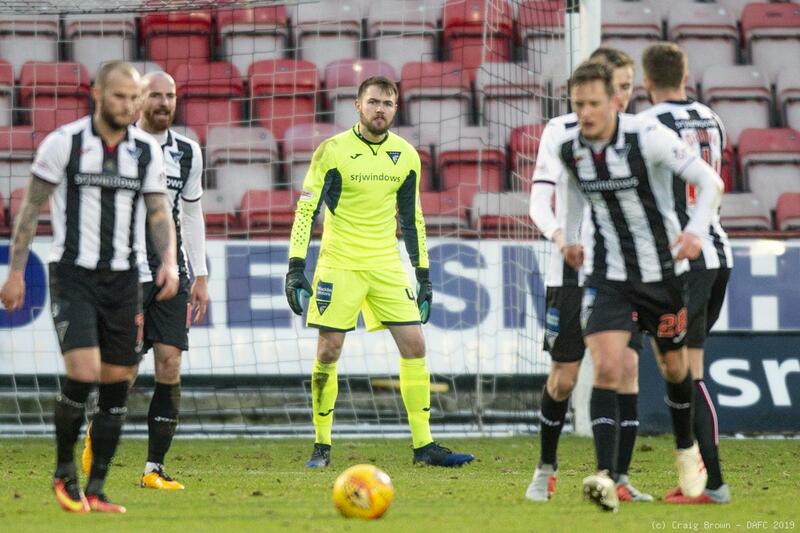 Keeper Scott Fox was down on his knees to hold a low shot from Thomson on the edge of the box then in 24 minutes Anderson was through again having successfully got the better of Semple but he hit his shot at Fox. 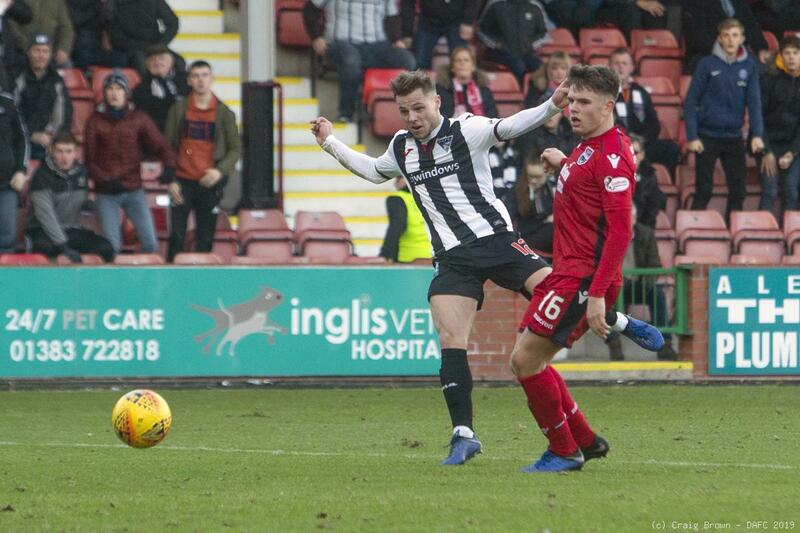 A Thomson pass was intercepted by Lewis Spence and Jackson Longridge checked McManus leading a a free kick that the Pars successfully defended. 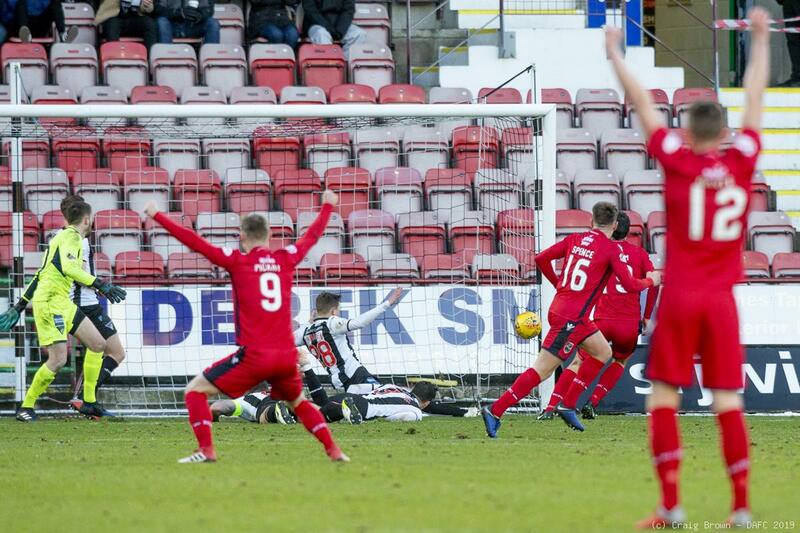 Then in 33 minutes El Bakhtaoui sent Anderson through again and this time on an angle from the right side of the penalty box sent his low shot narrowly outside the left goalpost. 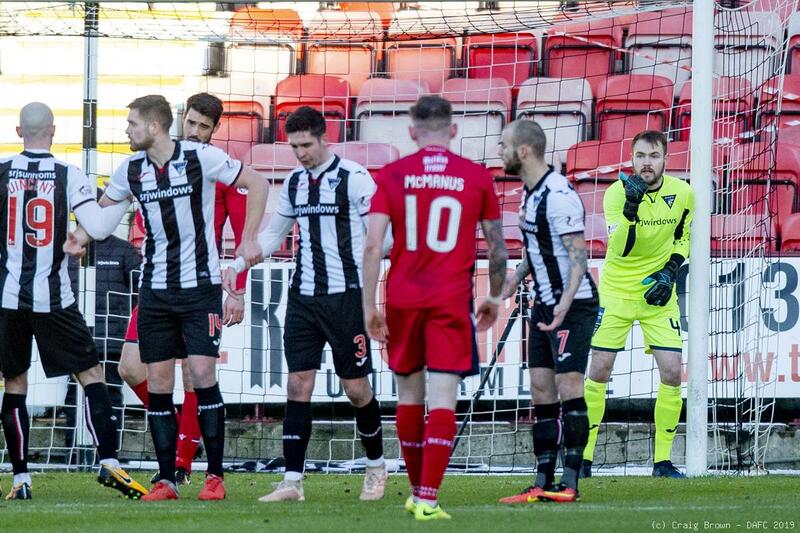 A 35th minute free kick from the right was again defended when McManus sent that into the Pars box, El Bakhtaoui broke but ran out of space on the left as McManus tracked back. 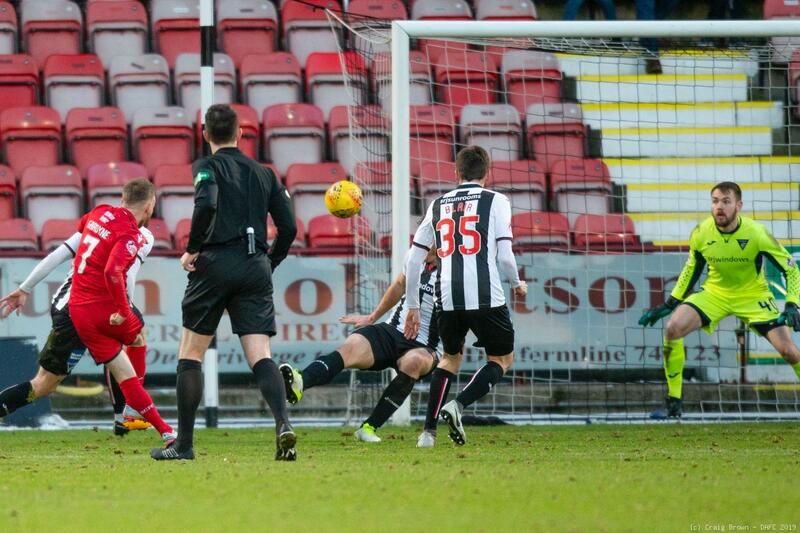 The home side pressed with Vincent feeding Thomson but he was blocked and then with five minutes to the interval Thomson did get a shot away from 20 yards out but was off target left. 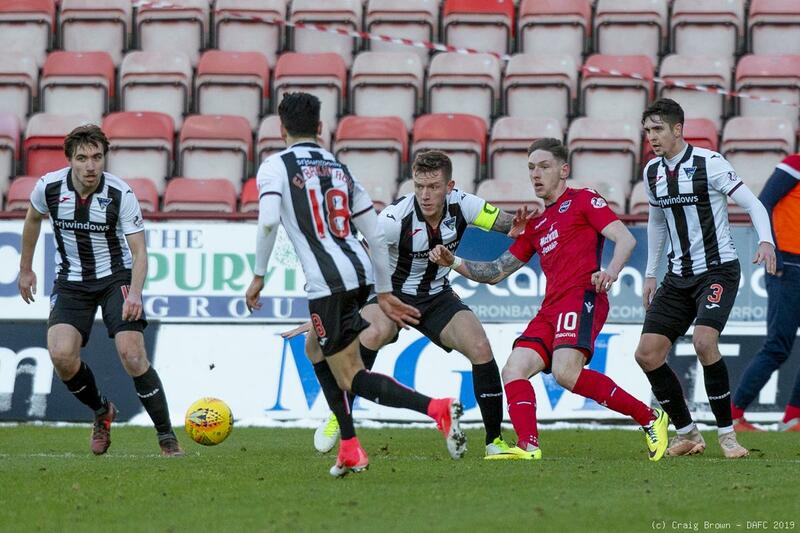 Dunfermline had put in a good first half, showing much more determination, they thoroughly deserved their half time lead. 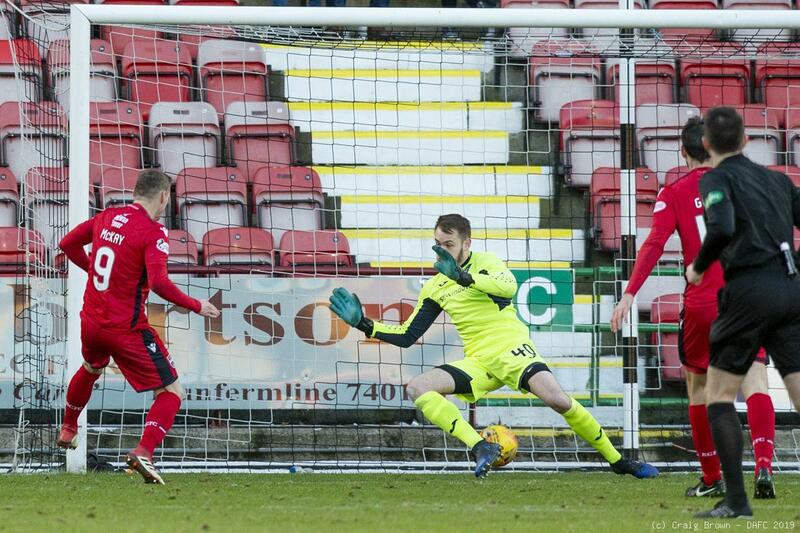 Ross County came extremely close to adding a second goal in 54 minutes. 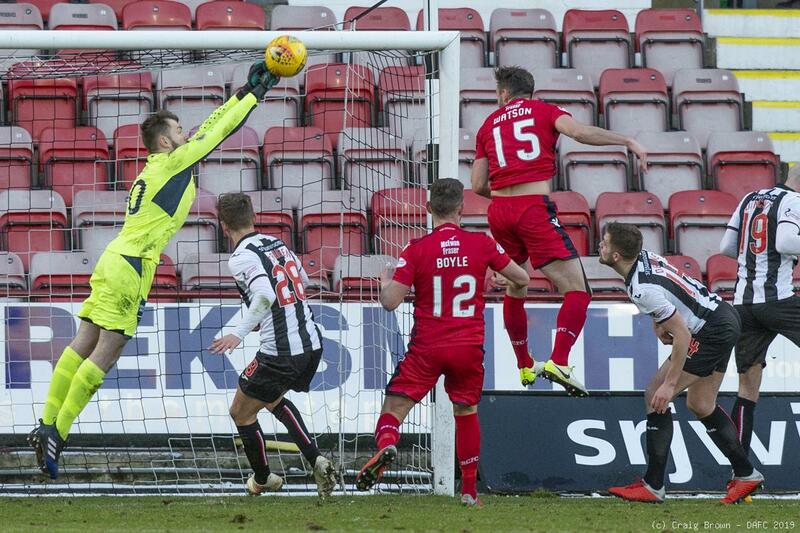 There was a game of ping pong on the Pars goal line instigated from a Graham shot as Devine, Ashcroft, Longridge and Craigen all dived in to keep the Staggies out. 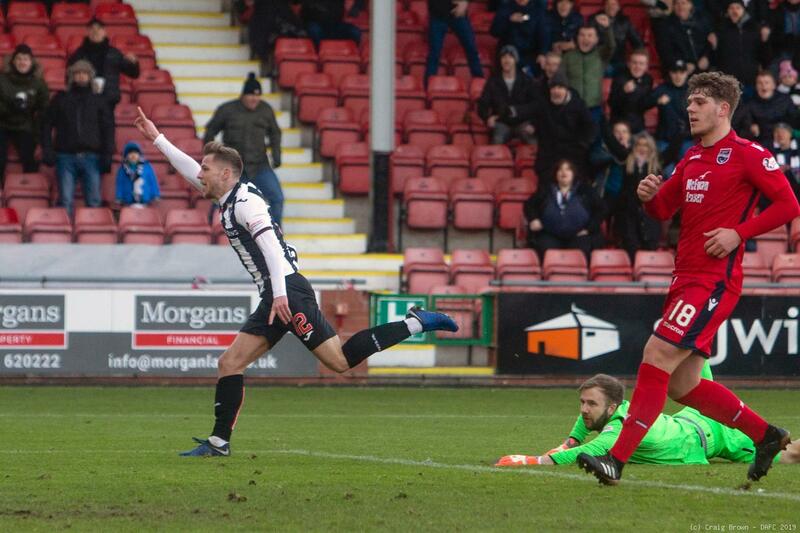 The goal certainly gave the visitors a lift but it was a 64th minute mistake by Longridge ten yards into his own half letting Lindsay dispossess him that almost led to a second goal for the away team. 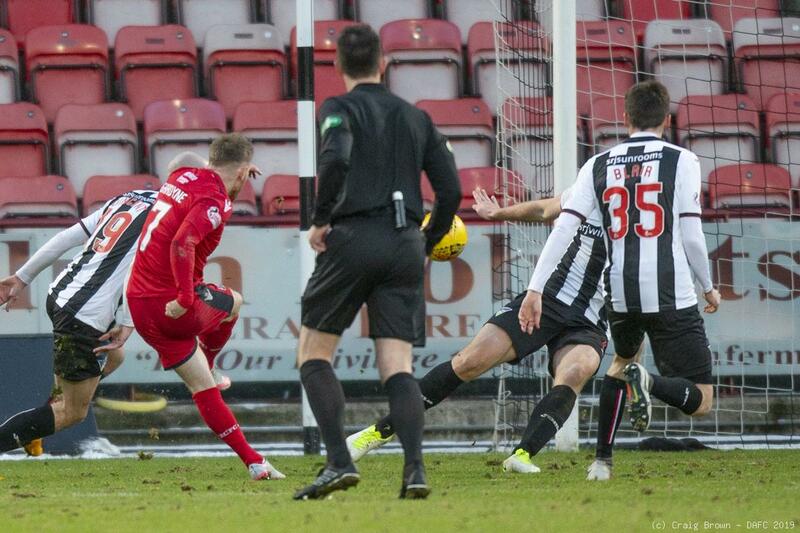 Lindsay laced the ball through for McKay, the ball going in off the left upright but offside this time! 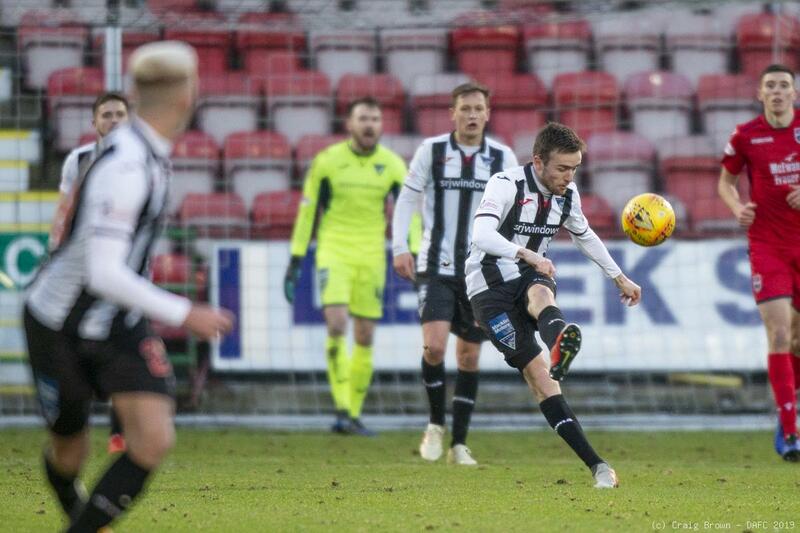 As the match went into its final quarter Fox was out to clutch a dangerous cross across the face of goal by Kallum Higginbotham. 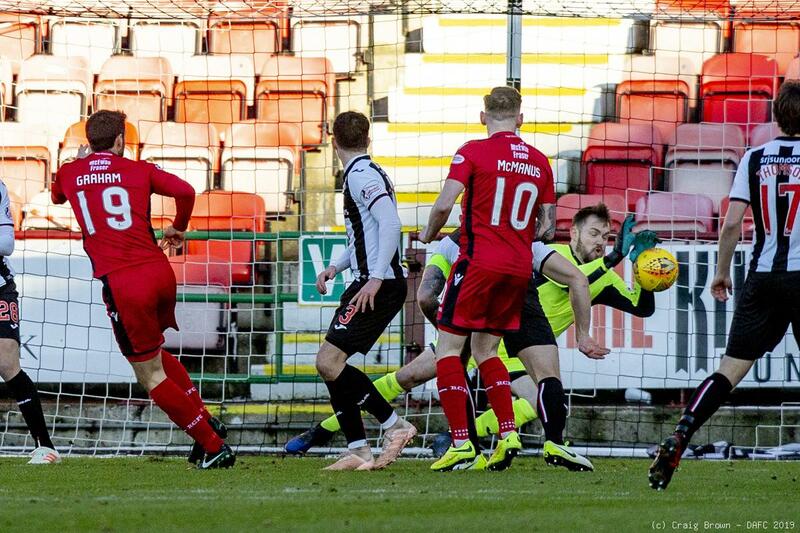 A Gardyne free kick was headed out by Thomson but Higginbotham was immediately robbed and McKay rattled a chance wide right. 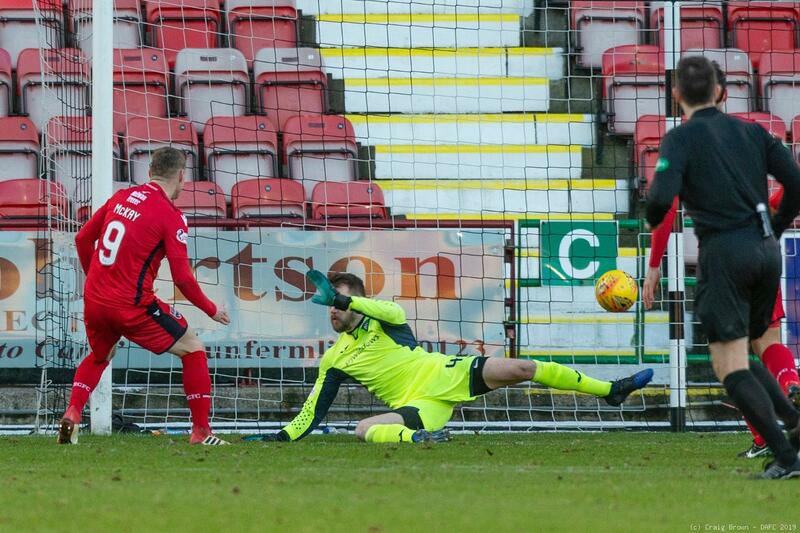 Myles Hippolyte replaced James Craigen with seven minutes remaining but County were in command having knocked the stuffing out of their opponents with their second half performance. 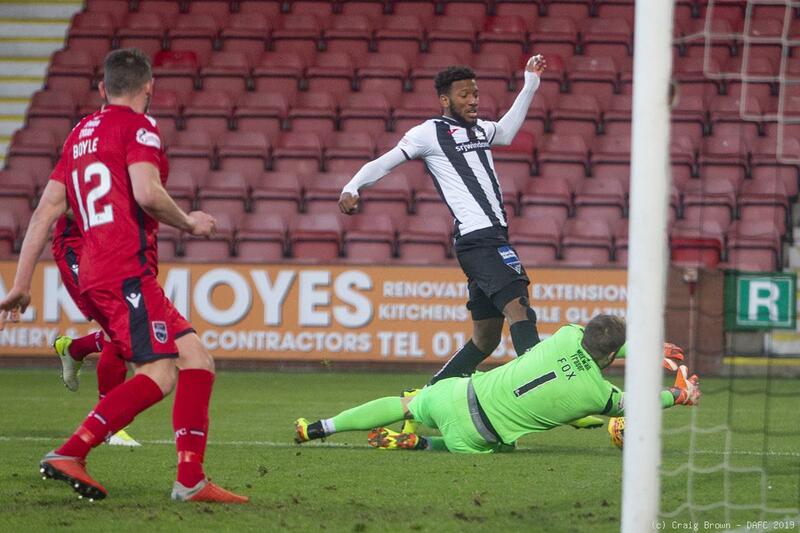 When played on after an 88th minute late tackle on Smith, Hippolyte got into a shooting position but could not finish. 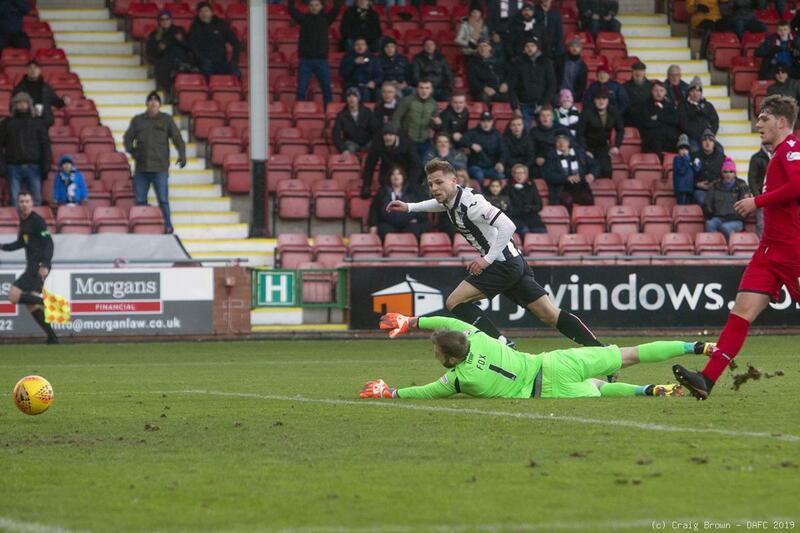 Williamson had a run right into the County box in the second minute of added time but his low shot sneaked wide left. 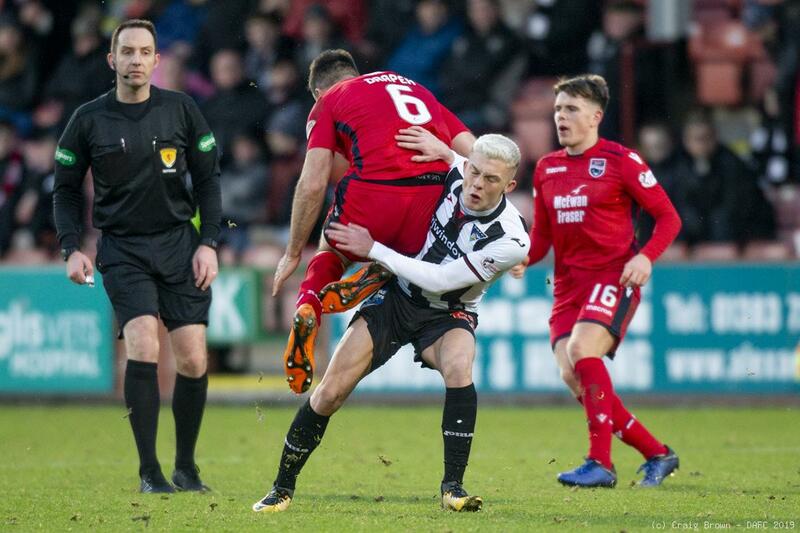 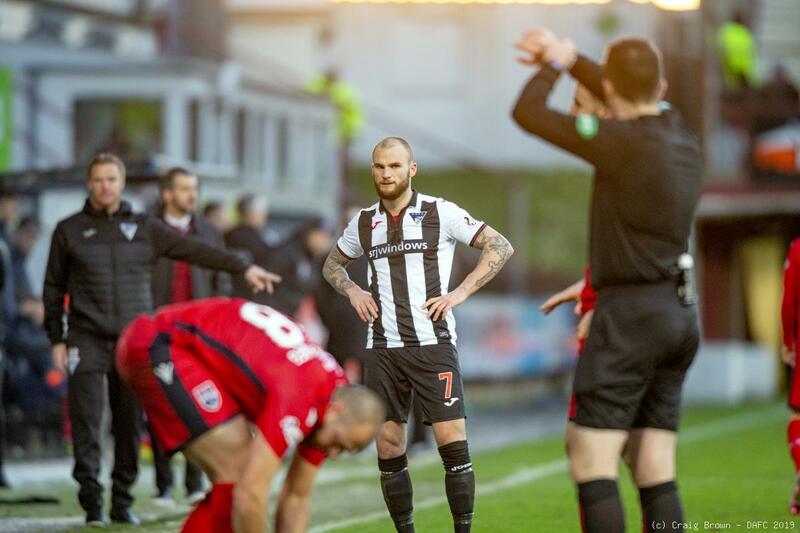 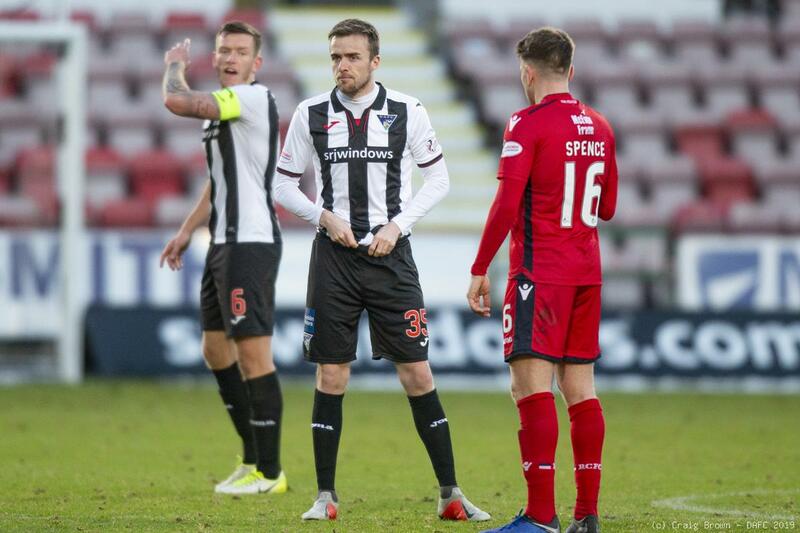 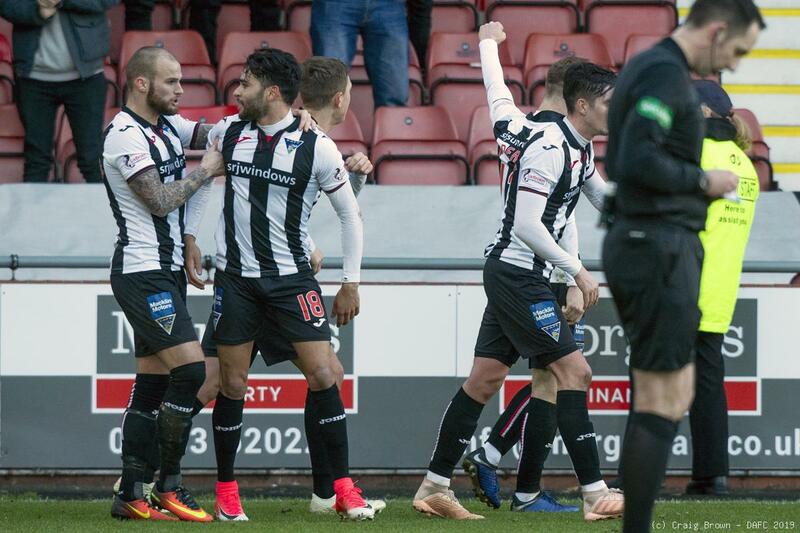 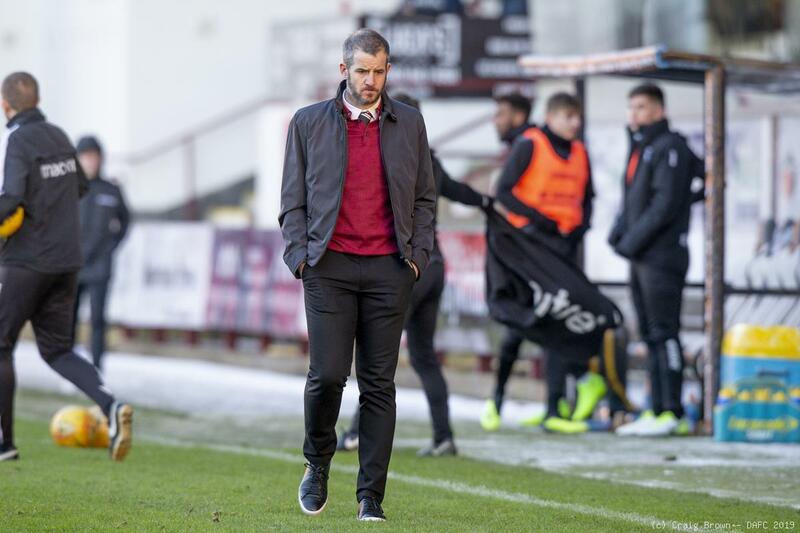 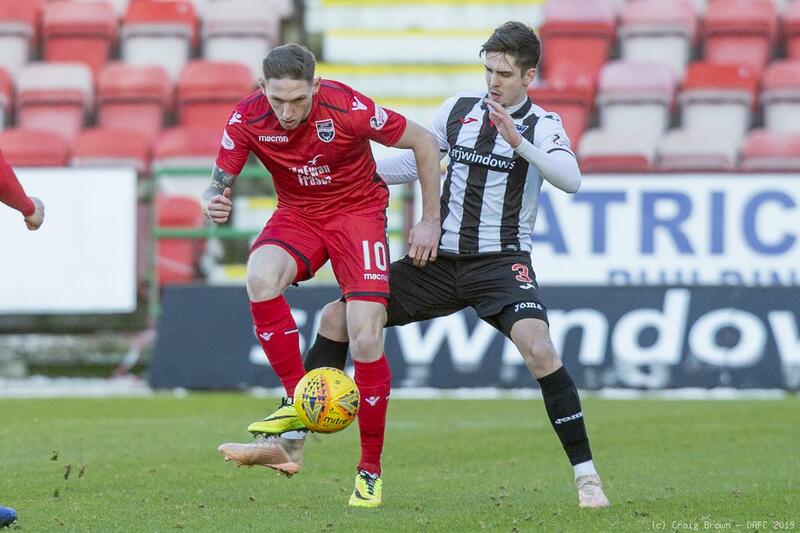 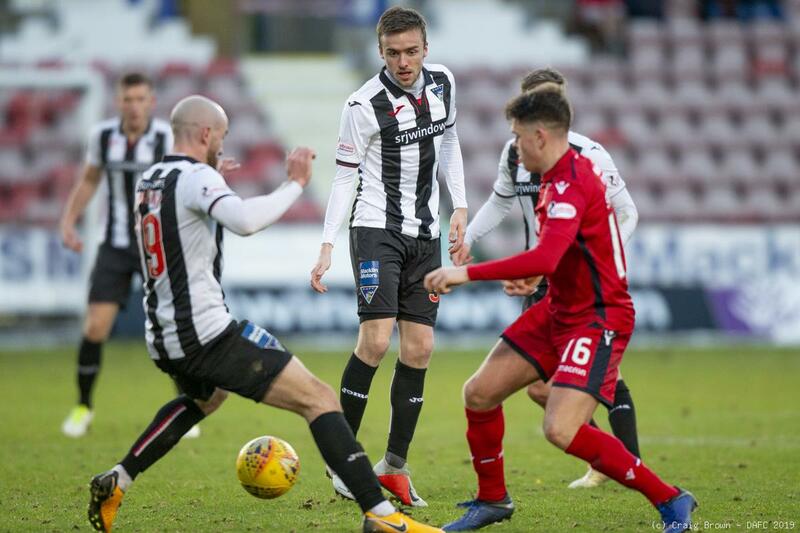 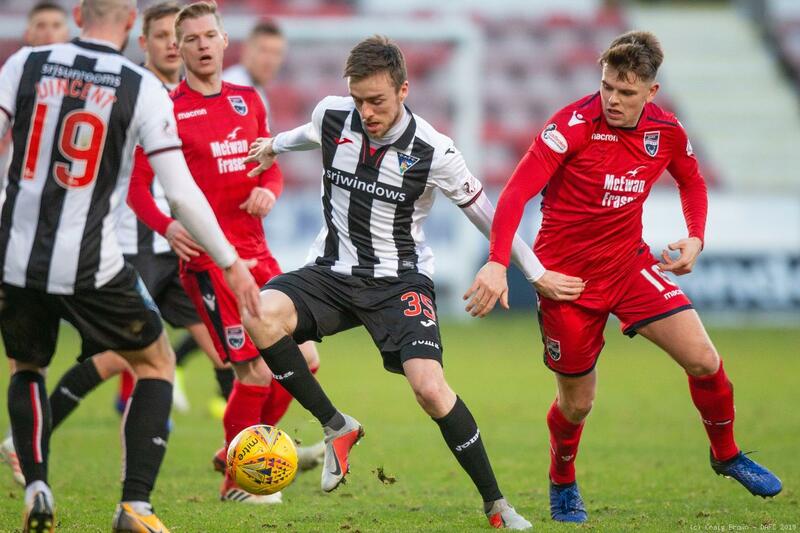 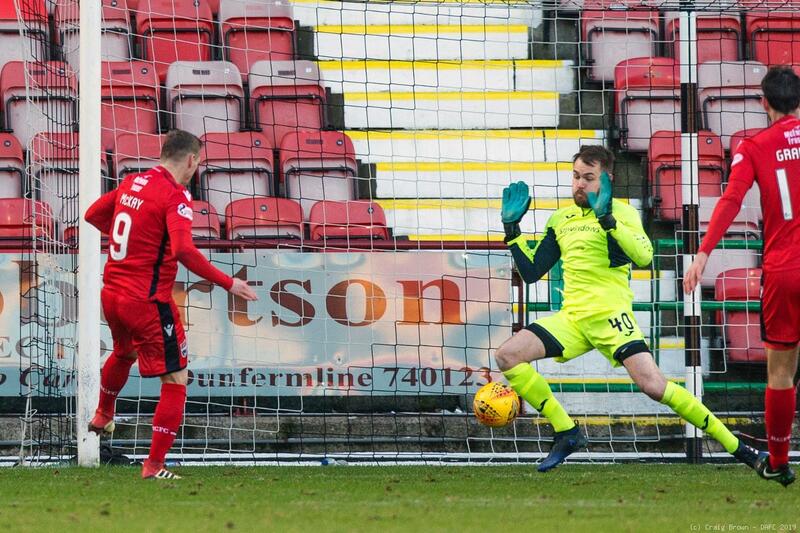 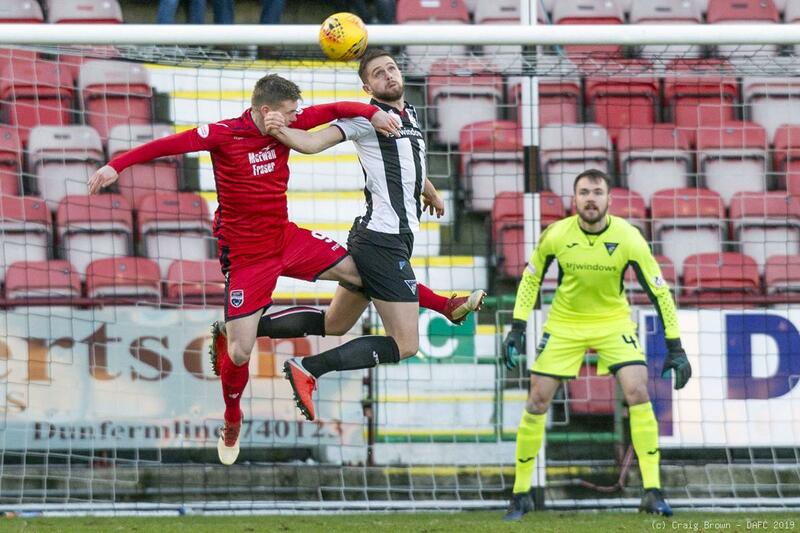 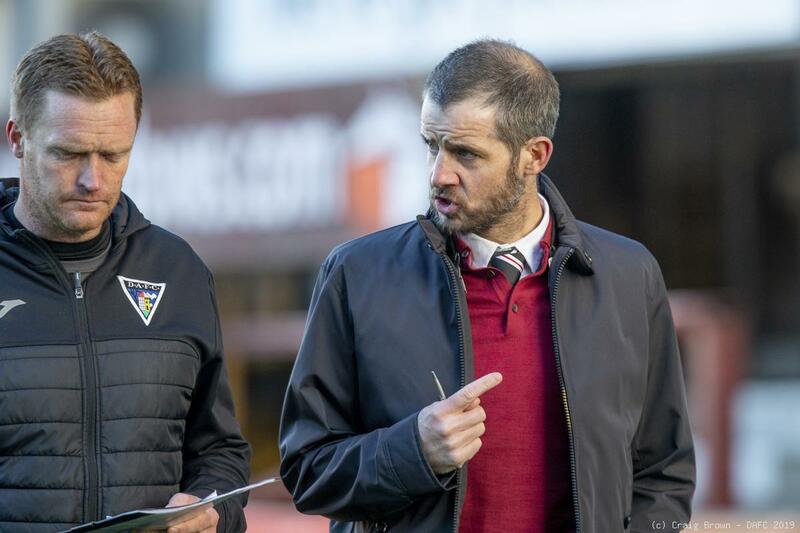 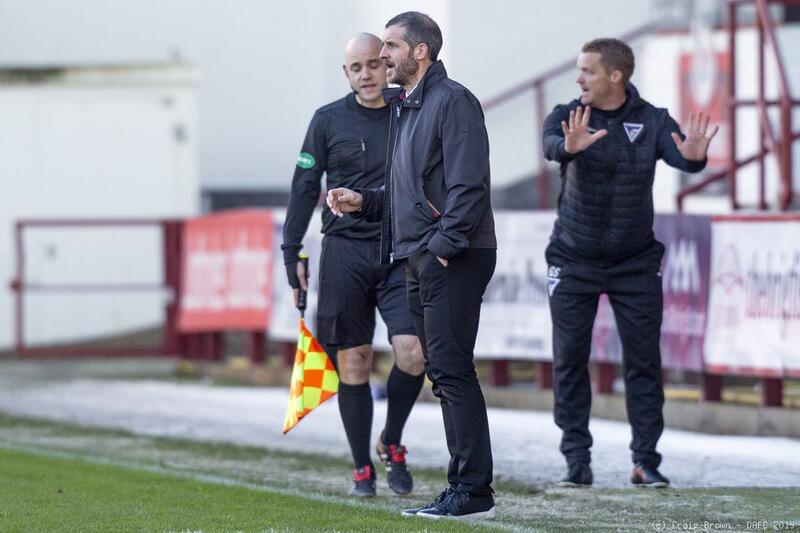 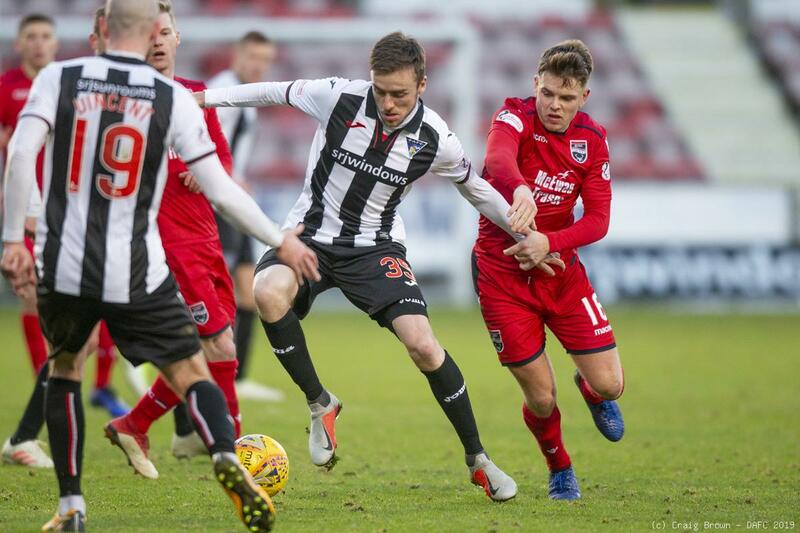 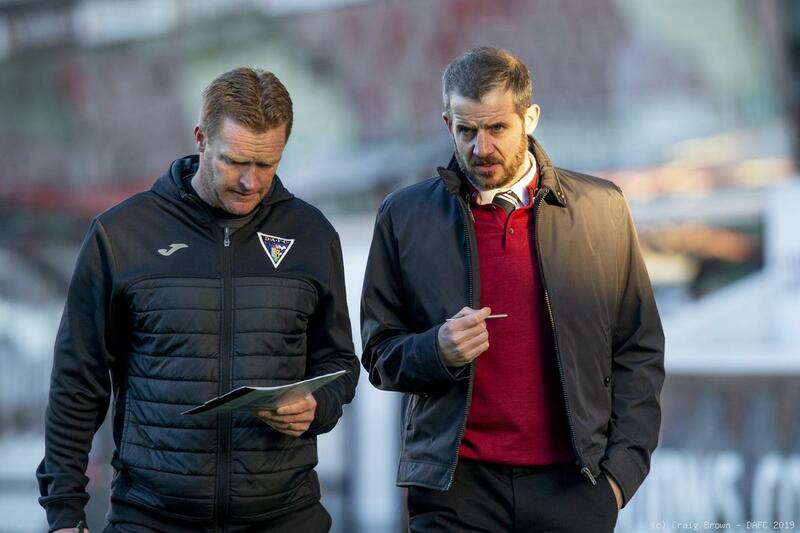 The Pars had come close but few would argue that Ross County deserved the three points that retained their position as Championship League leaders. 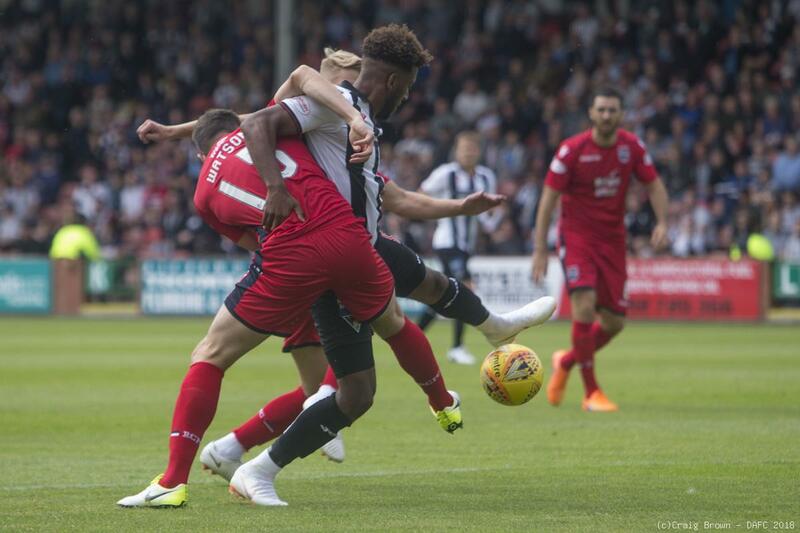 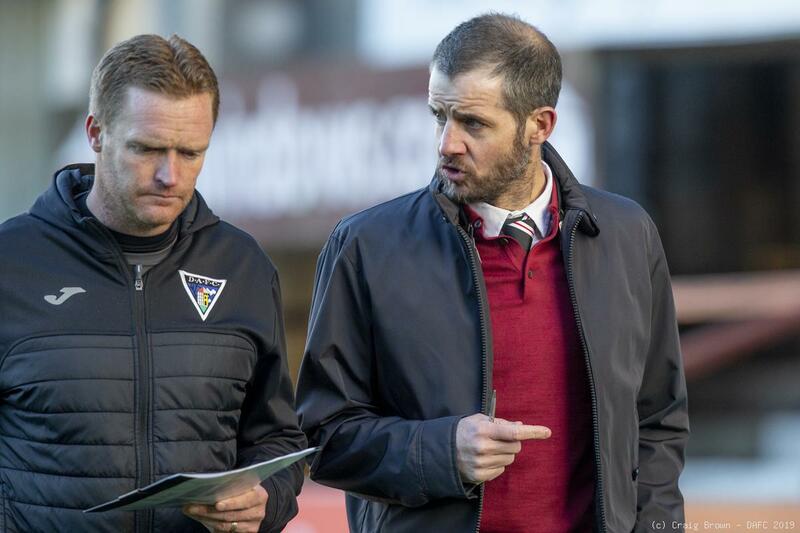 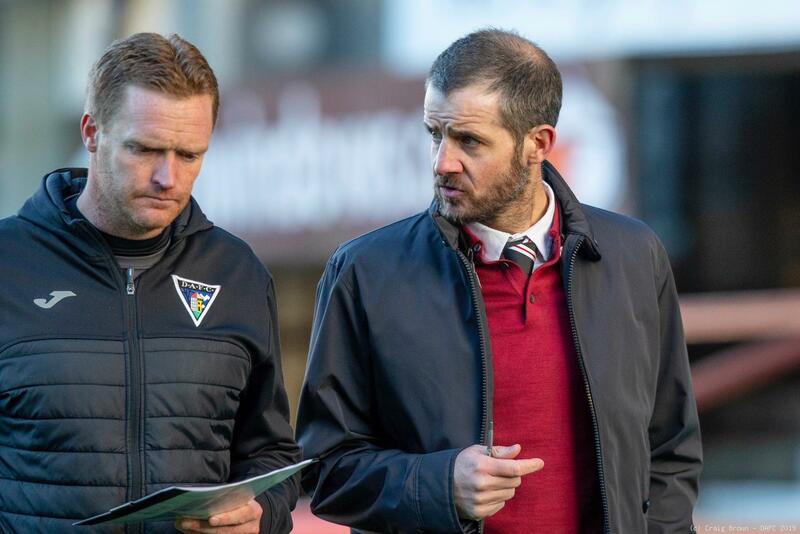 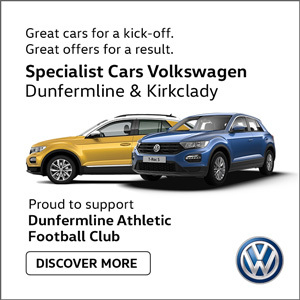 As for Dunfermline they had to realise that their first half performance and lead had to underline just how close they were to competing with the best that the Championship had to offer. 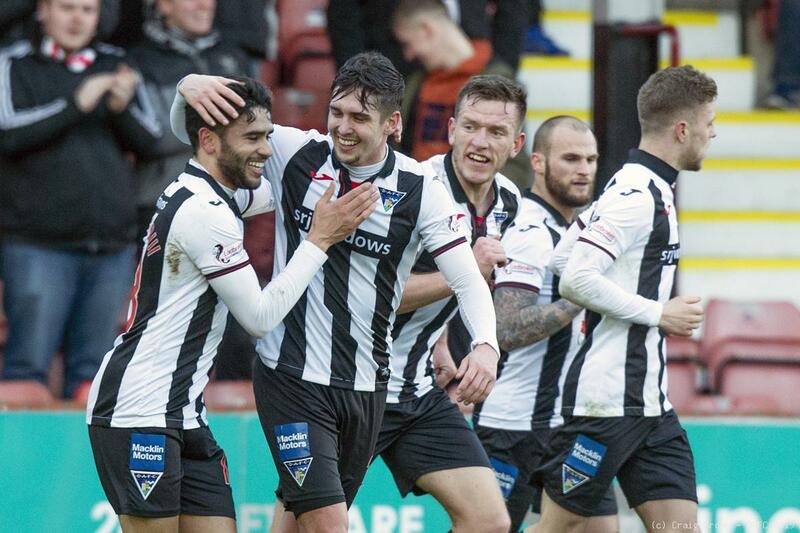 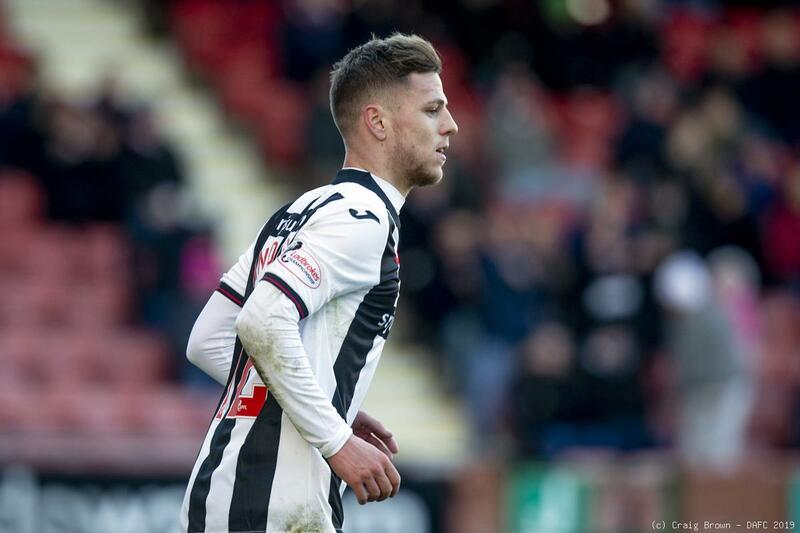 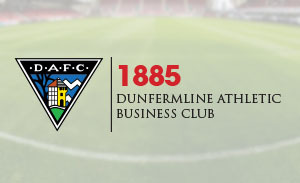 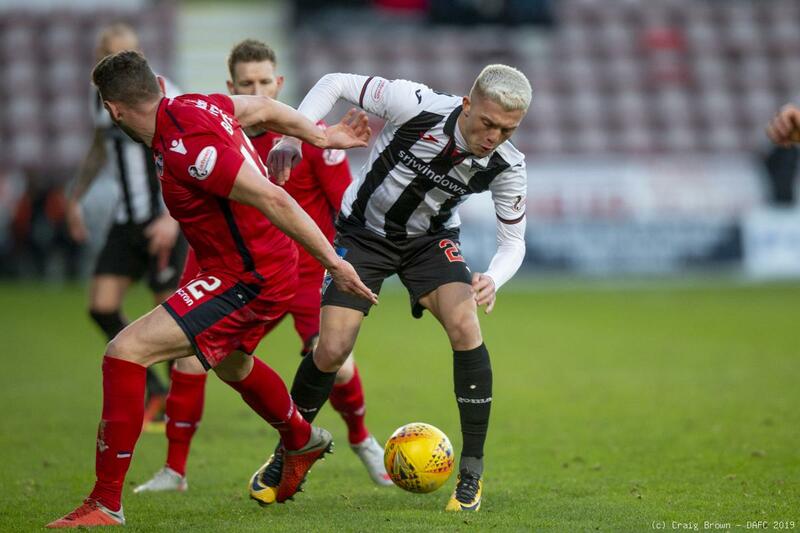 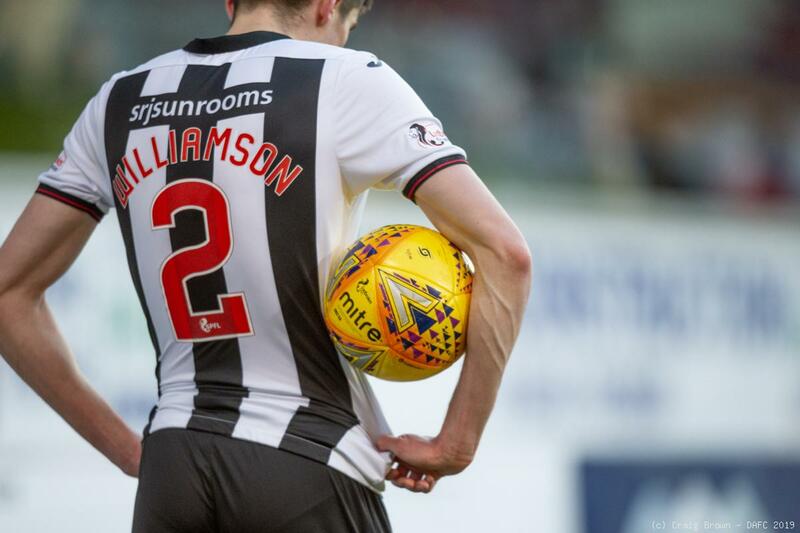 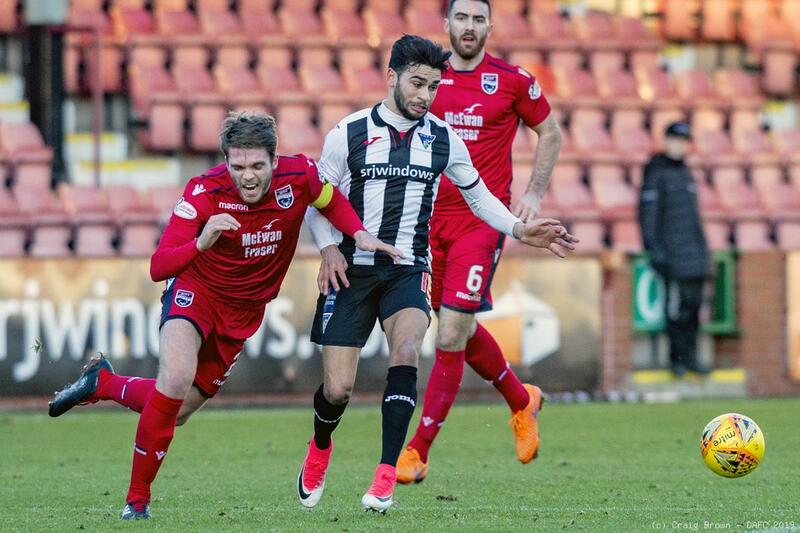 DUNFERMLINE: Ryan Scully: Ryan Williamson, Lee Ashcroft (c), Danny Devine, Jackson Longridge: Kallum Higginbotham, James Craigen (Myles Hippolyte 83), Joe Thomson, James Vincent: Bruce Anderson (Ryan Blair 73), Faissal El Bakhtaoui (Callum Smith 73). 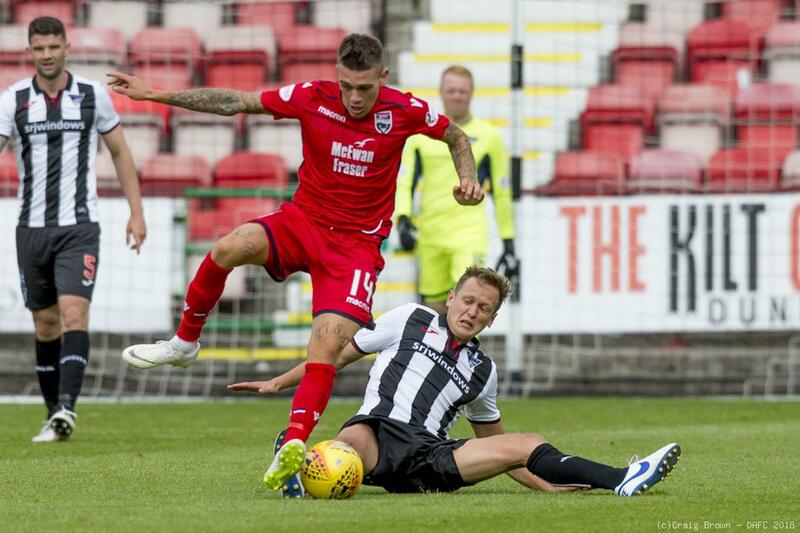 ROSS COUNTY: Scott Fox: Marcus Fraser, Keith Watson, Callum Semple (Andrew Boyle HT), Kenny van der Wag: Ross Draper, Jamie Lindsay, Lewis Spence, Billy McKay, Declan McManus (Michael Gardyne HT), Brian Graham (Ross Stewart 68). 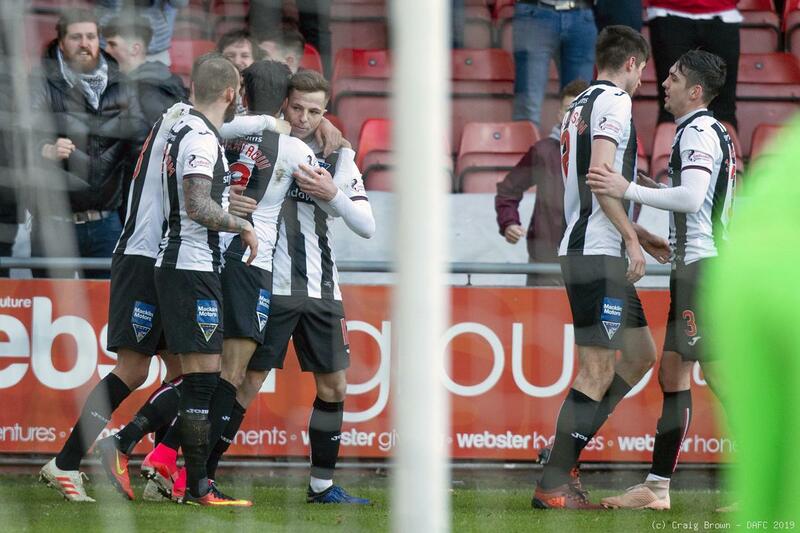 NEXT MATCH: Ladbrokes Championship (home) v Inverness Caley Thistle, Saturday 16th February 2019, 3.00pm kick off at East End Park. 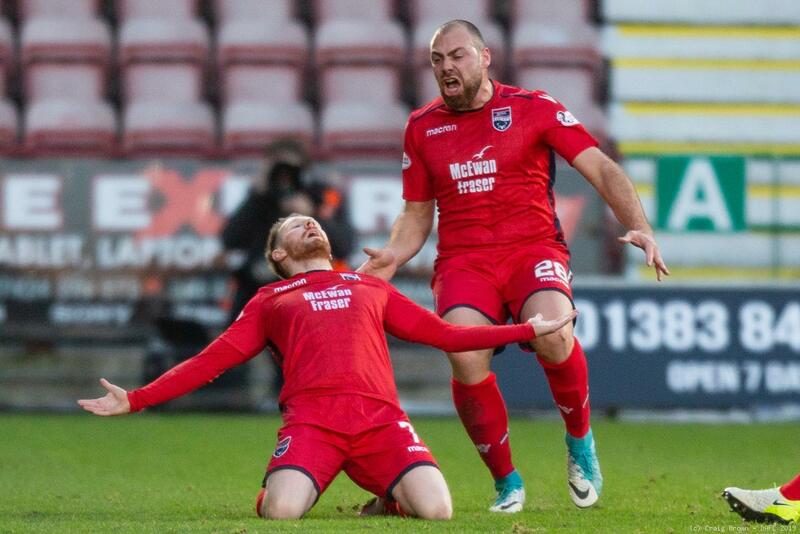 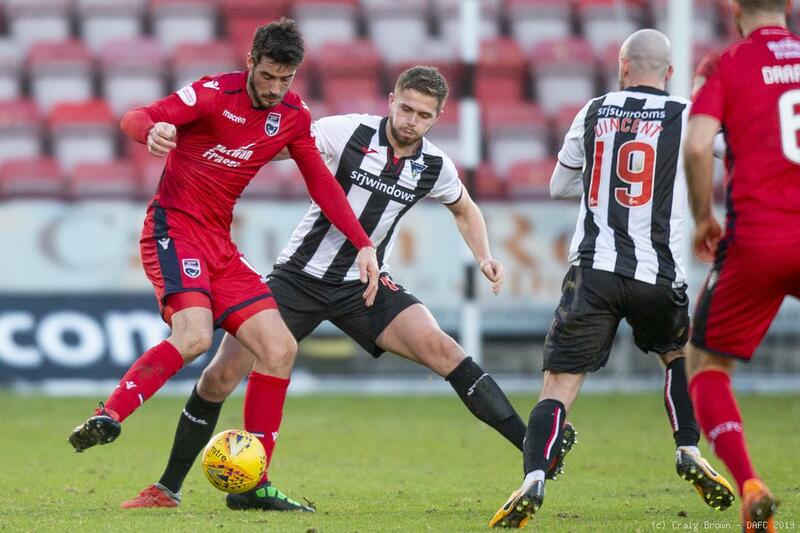 Ross County are the guests at East End Park for just the second time in the league in more than seven years. 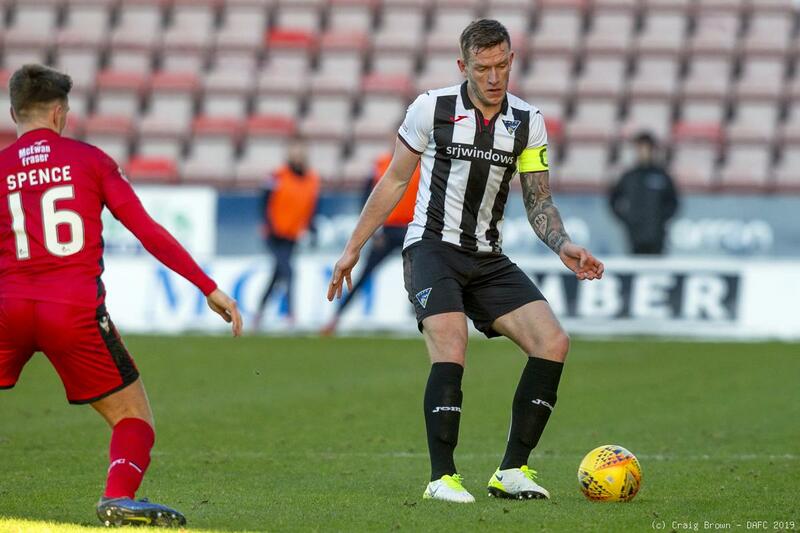 The two clubs have had contrasting fortunes since they met in March 2011 and County come south as strong contenders to win automatic promotion this season as champions. 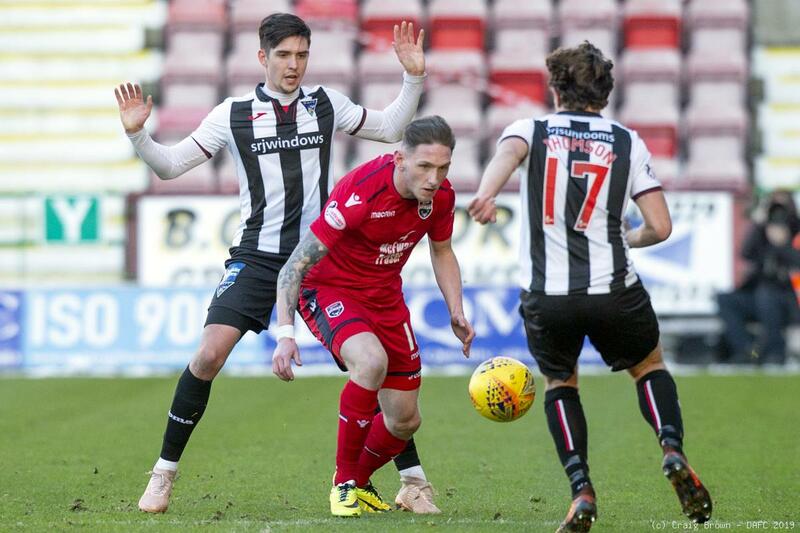 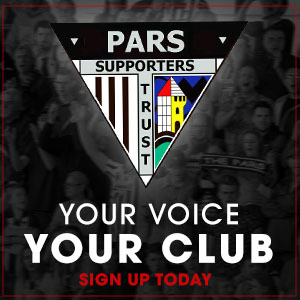 It is likely that former Pars Declan McManus, Lewis Spence and Dan Armstrong will be in the Stagiies squad to turn out at East End Park. 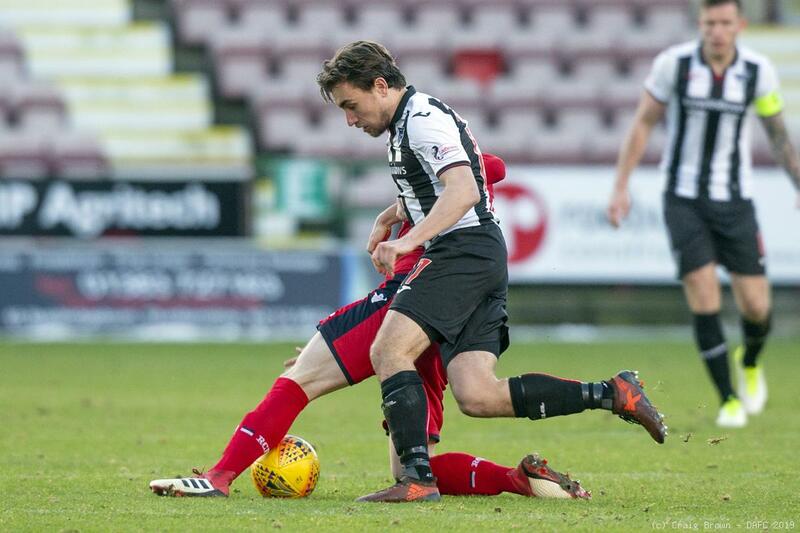 Other former Par Callum Morris has not played since 4th January against Morton. 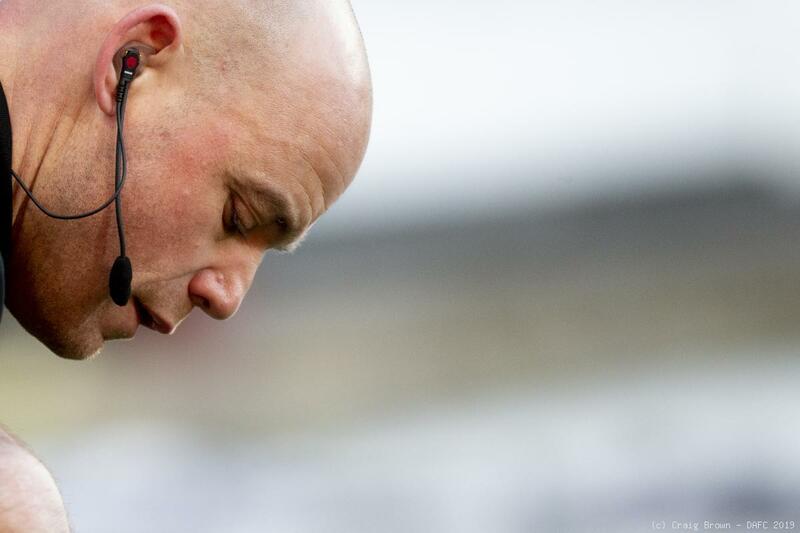 Six defeats, six draws and five wins. 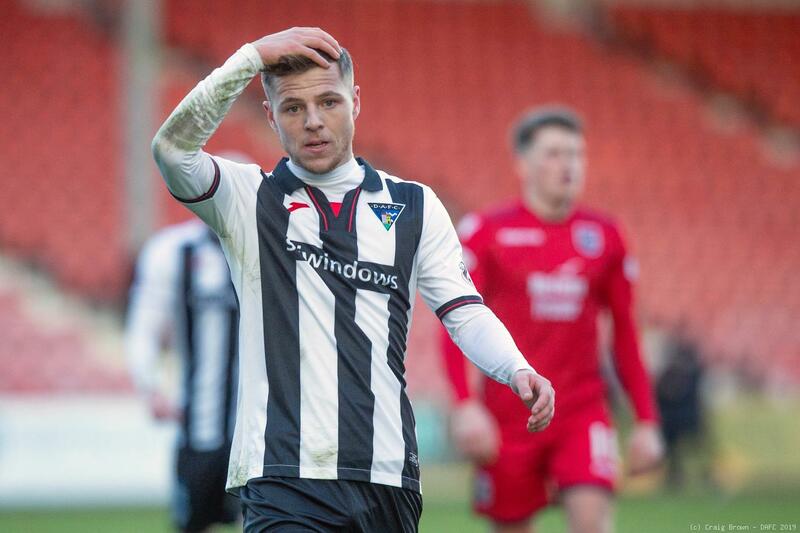 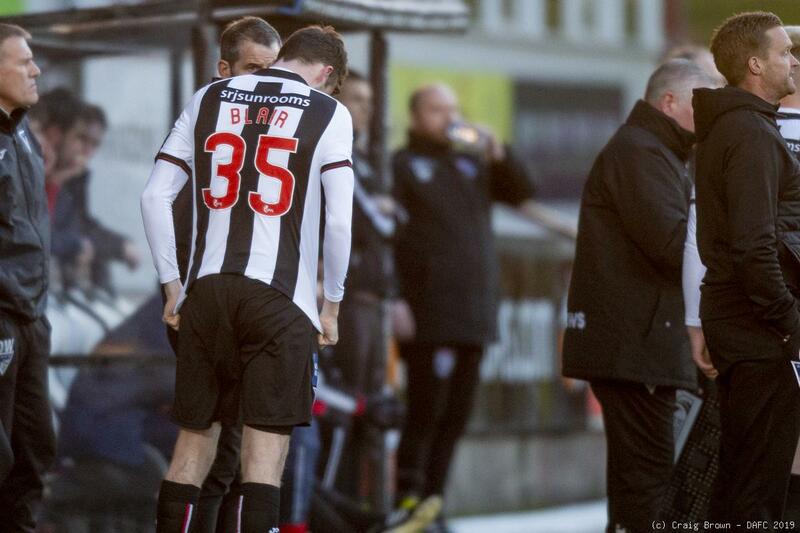 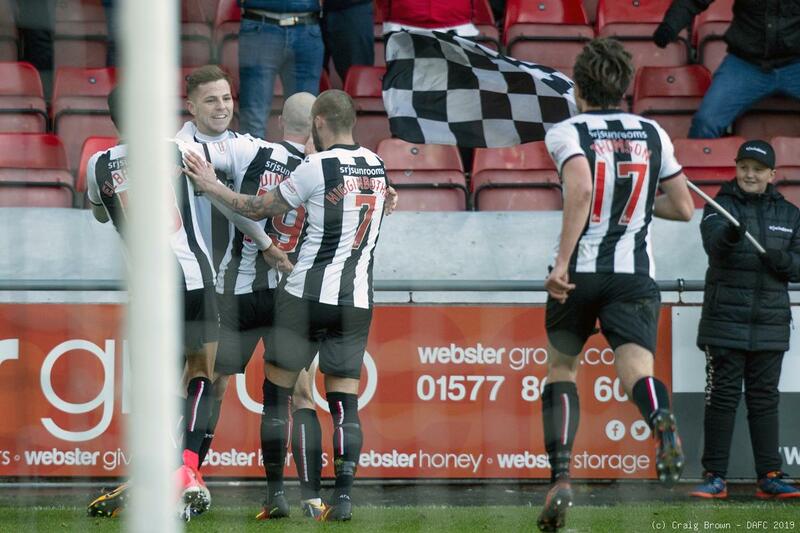 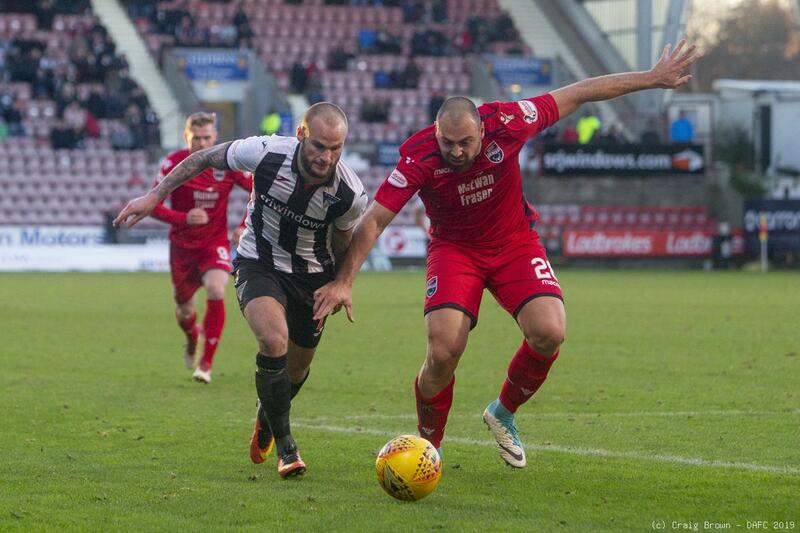 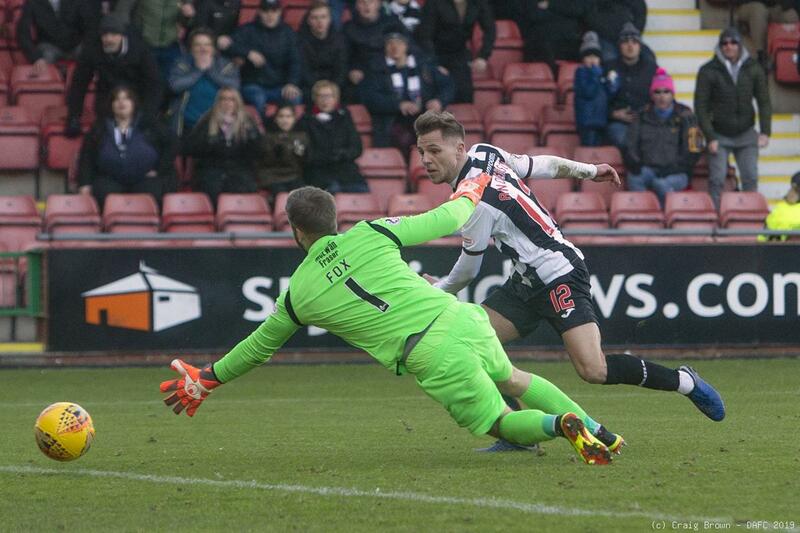 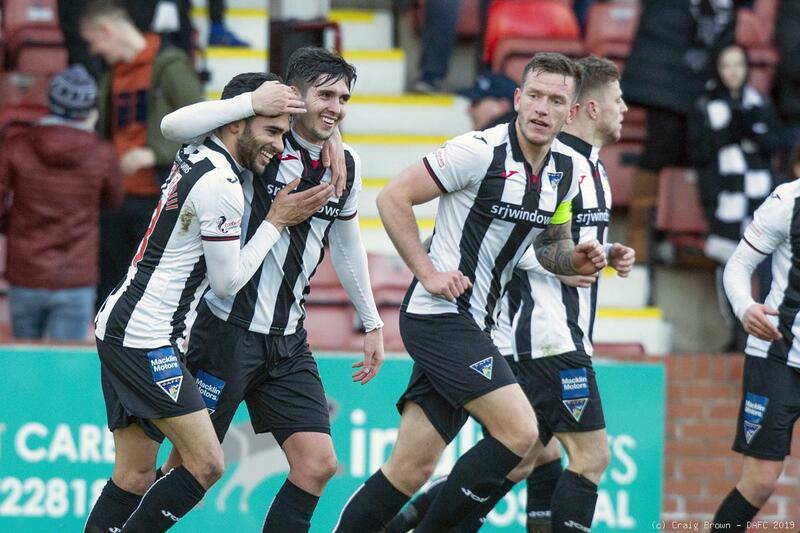 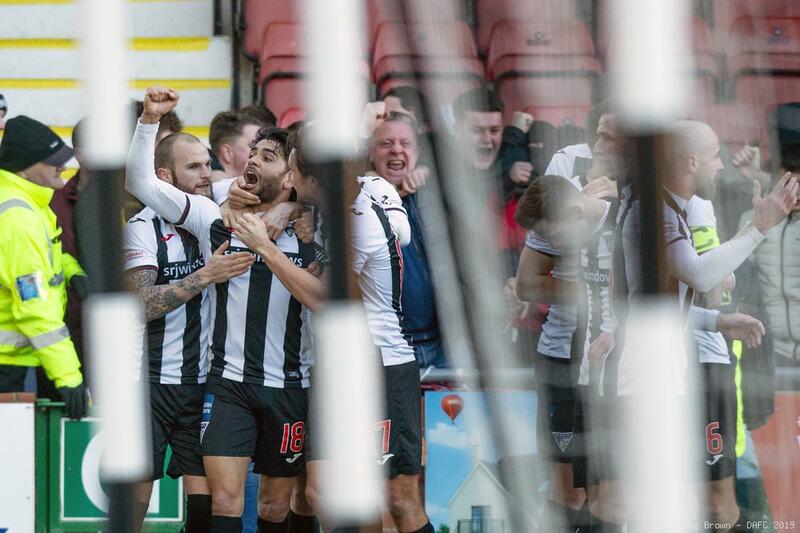 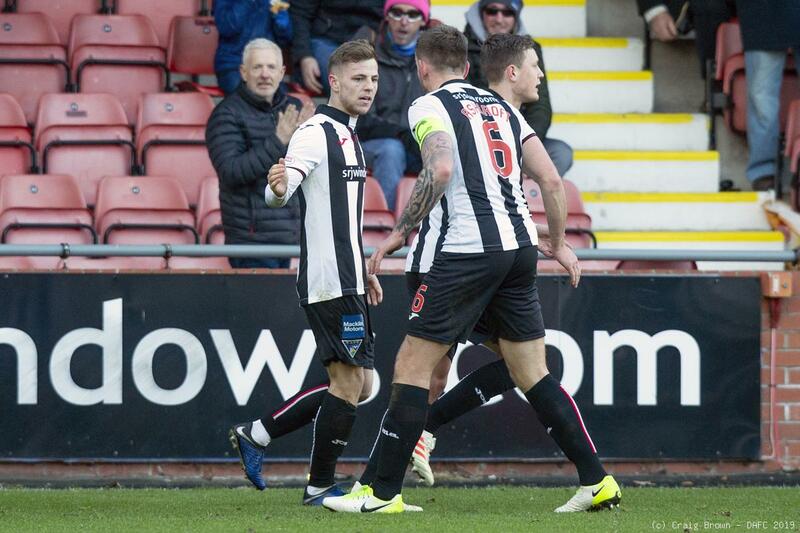 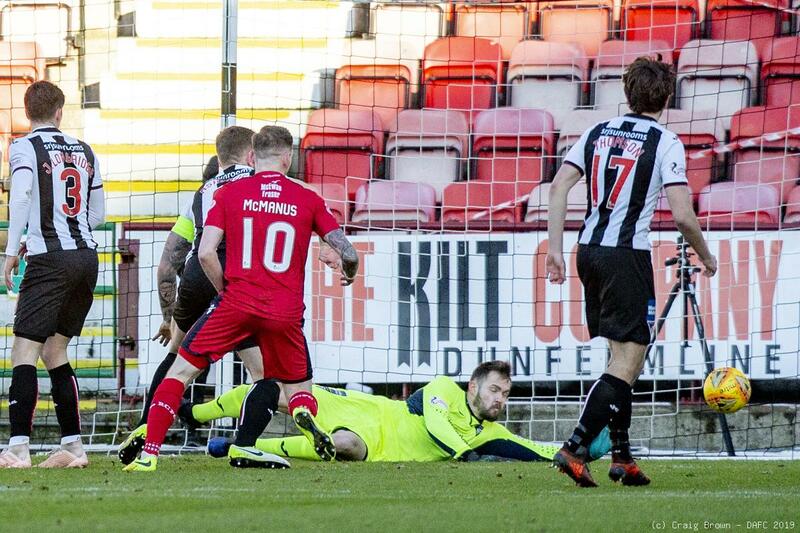 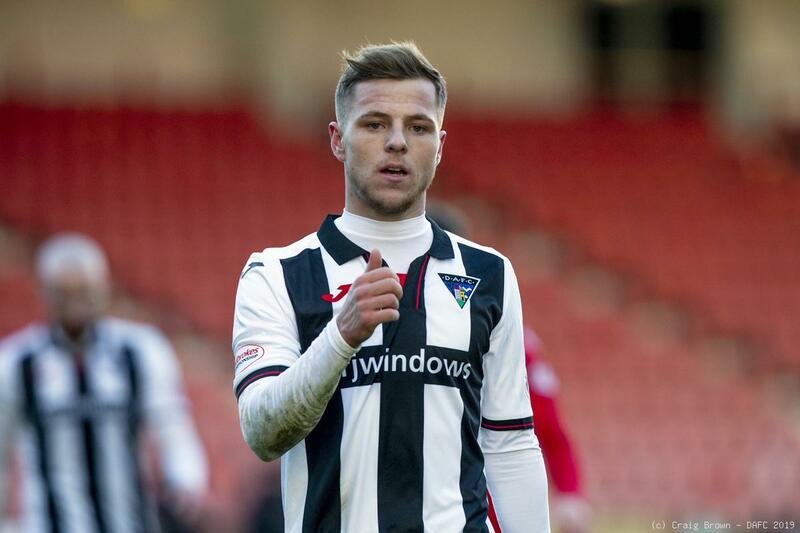 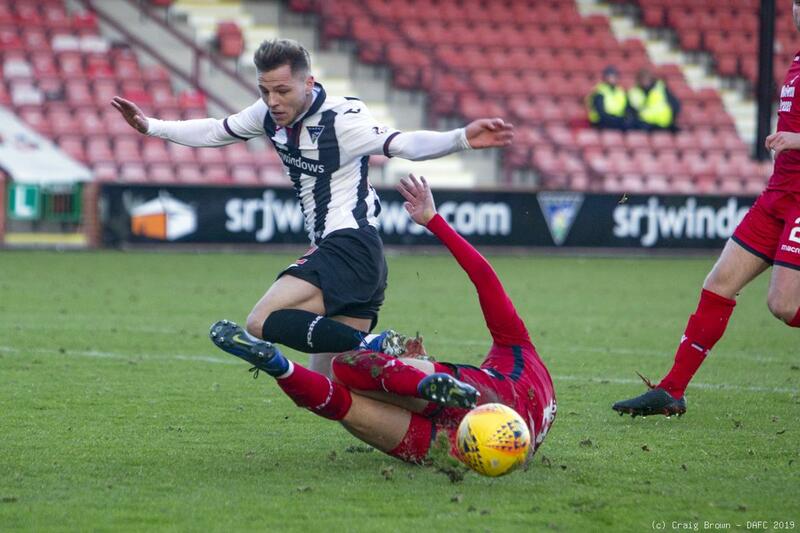 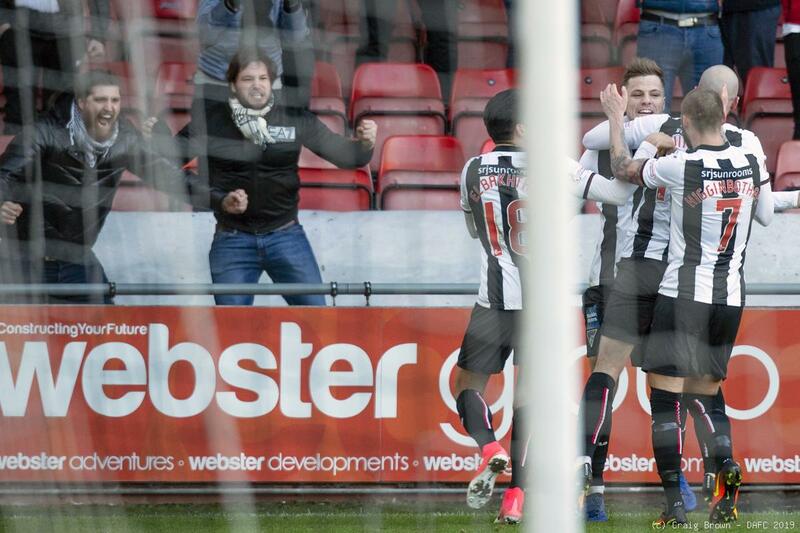 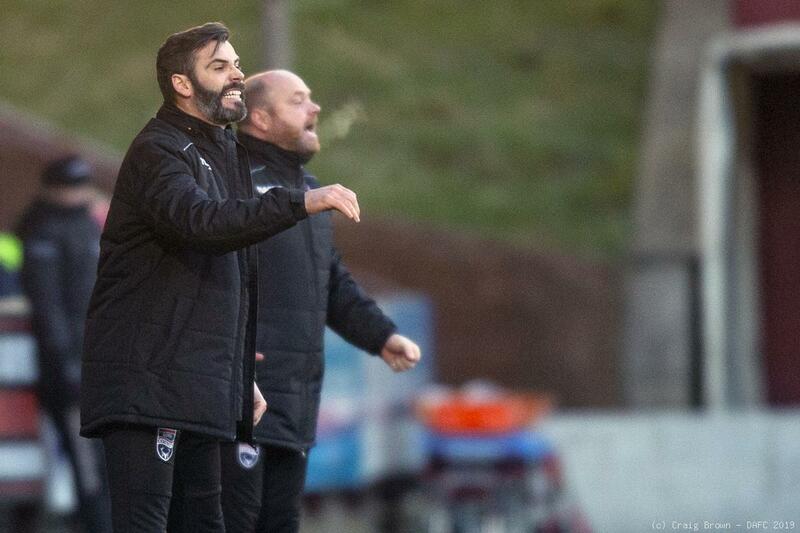 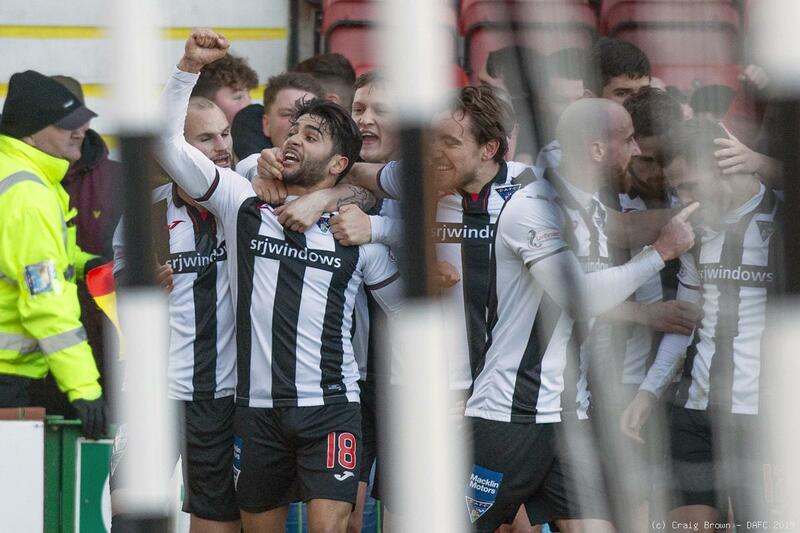 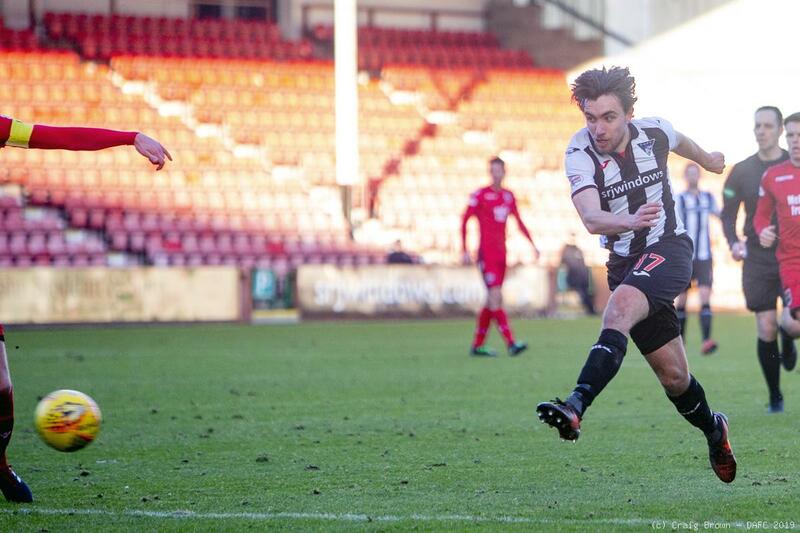 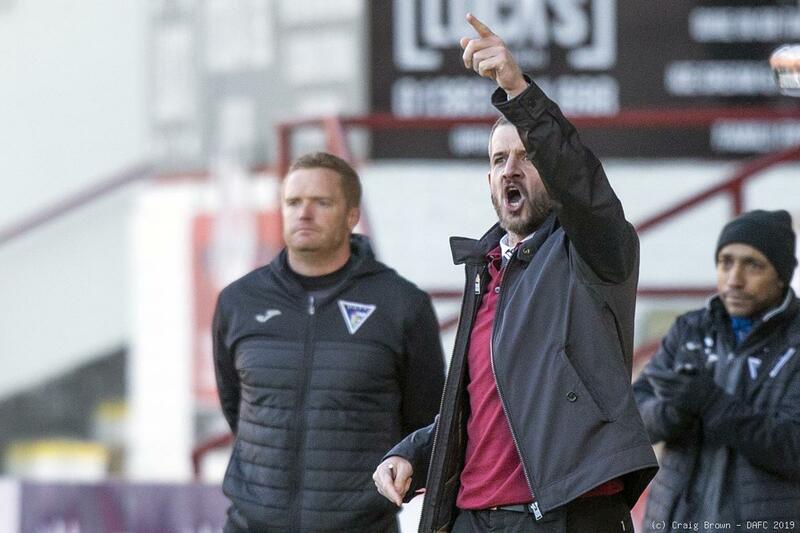 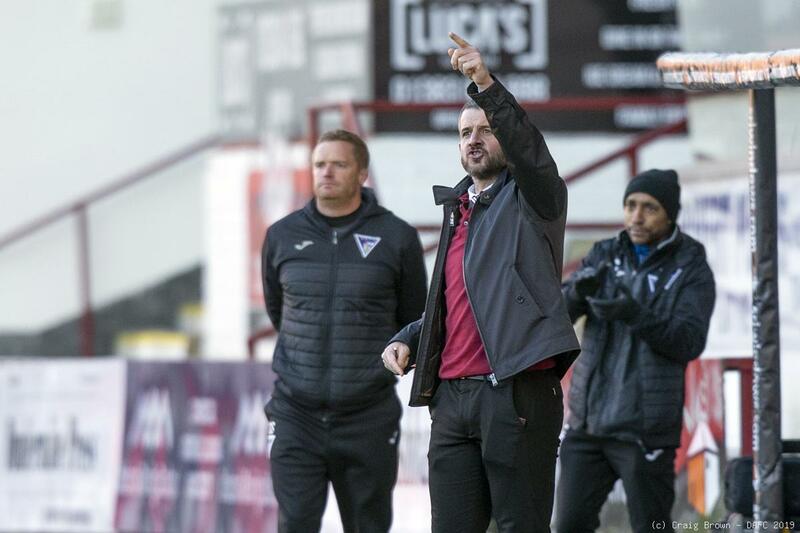 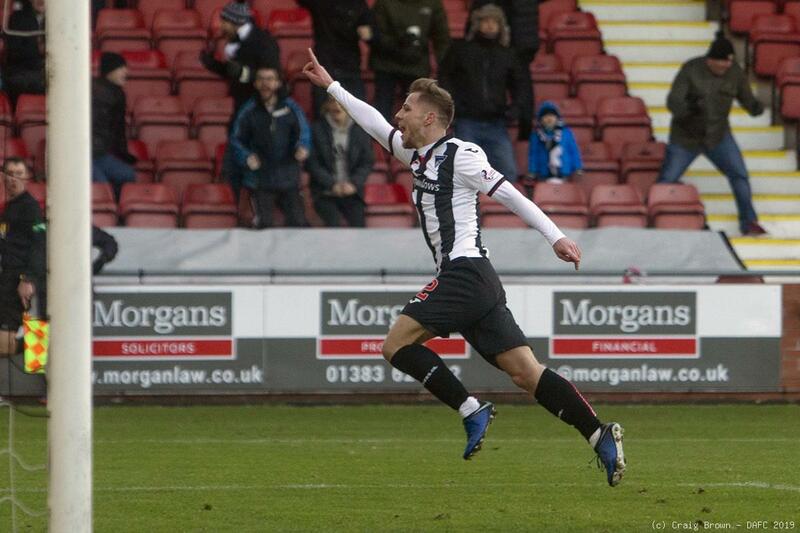 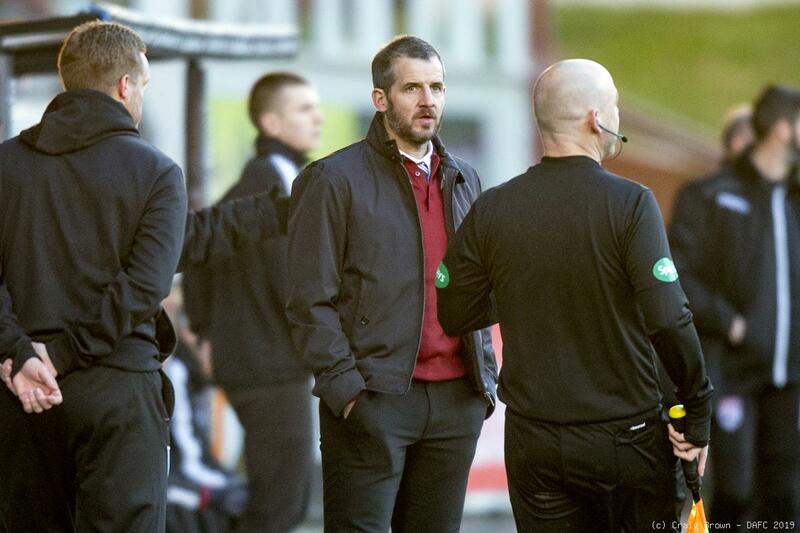 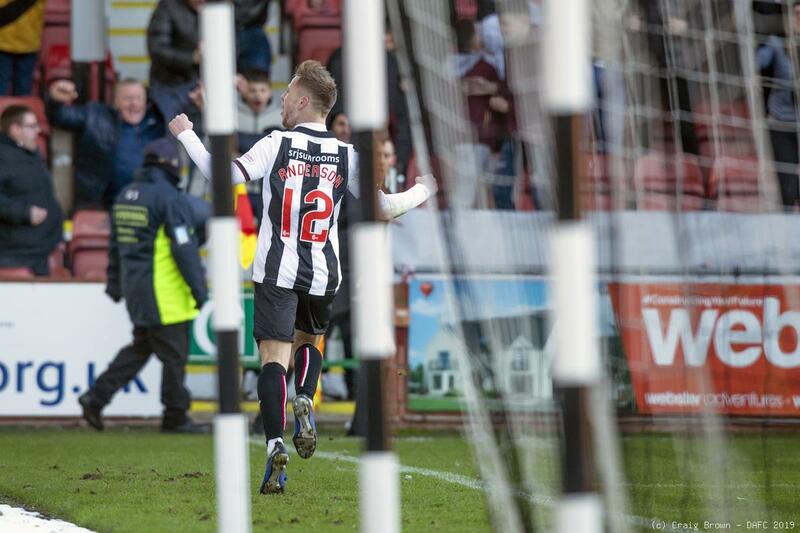 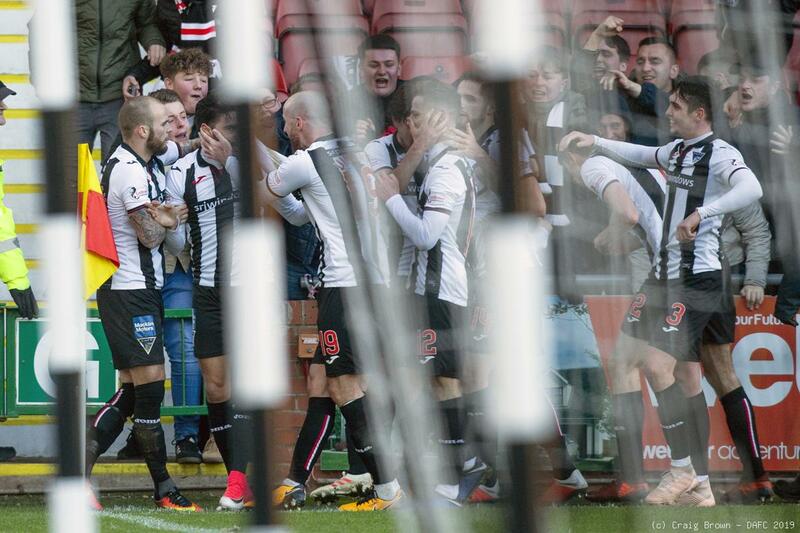 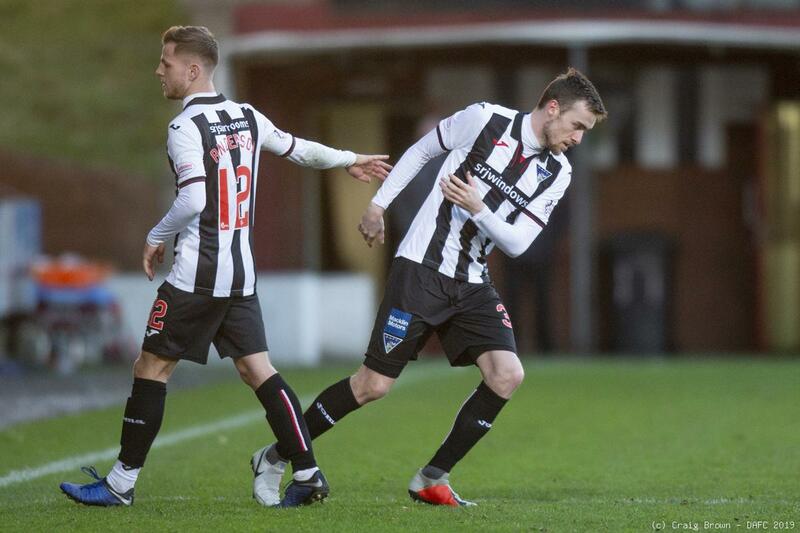 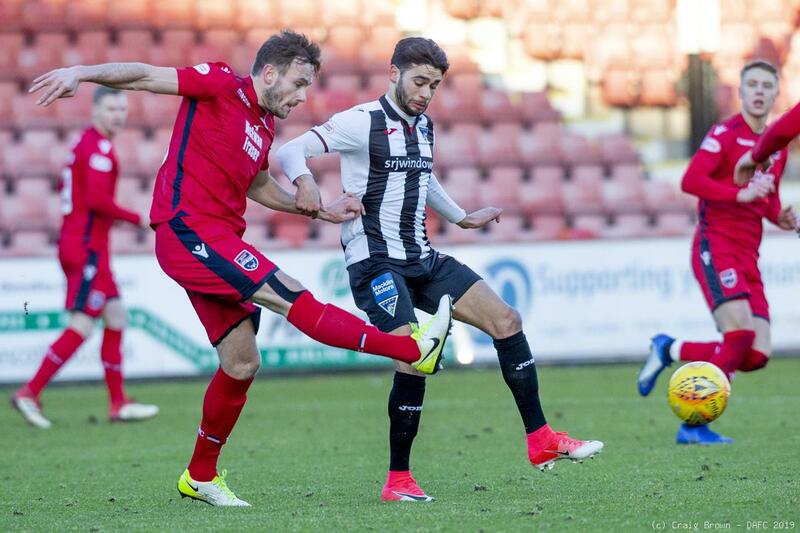 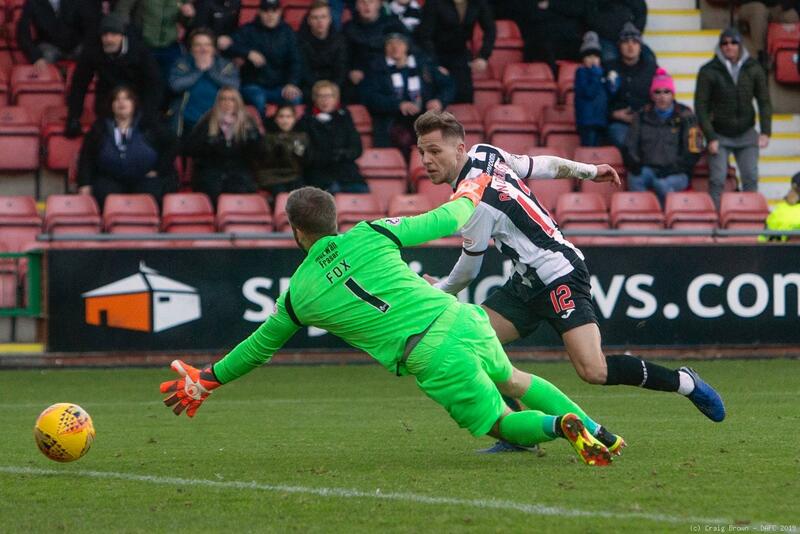 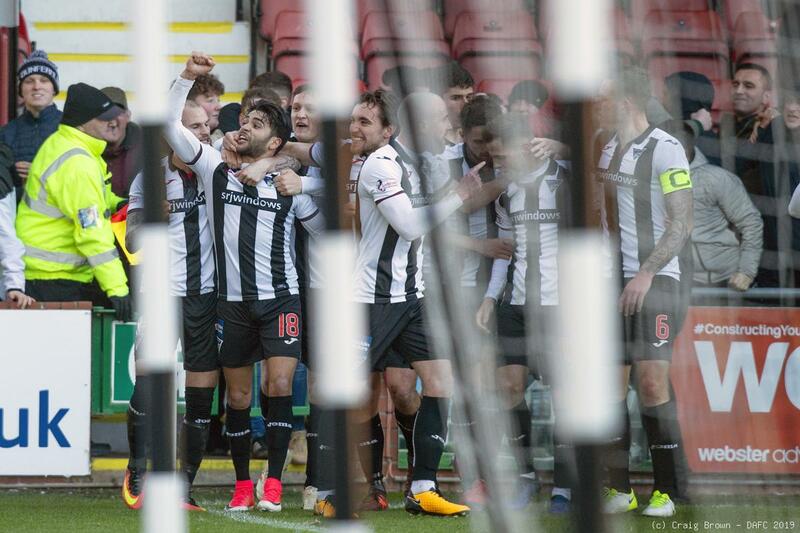 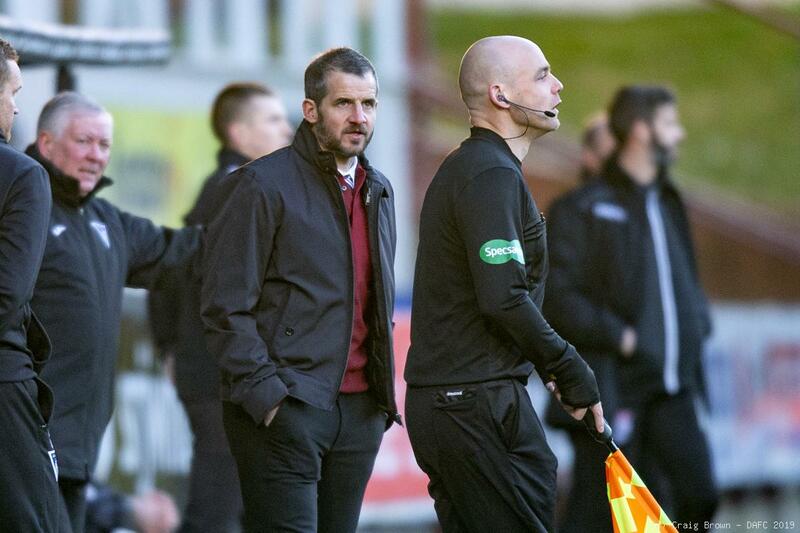 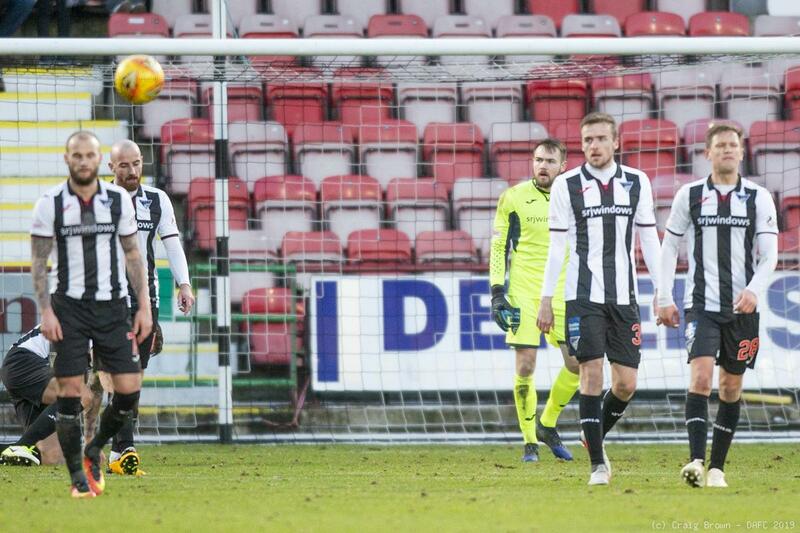 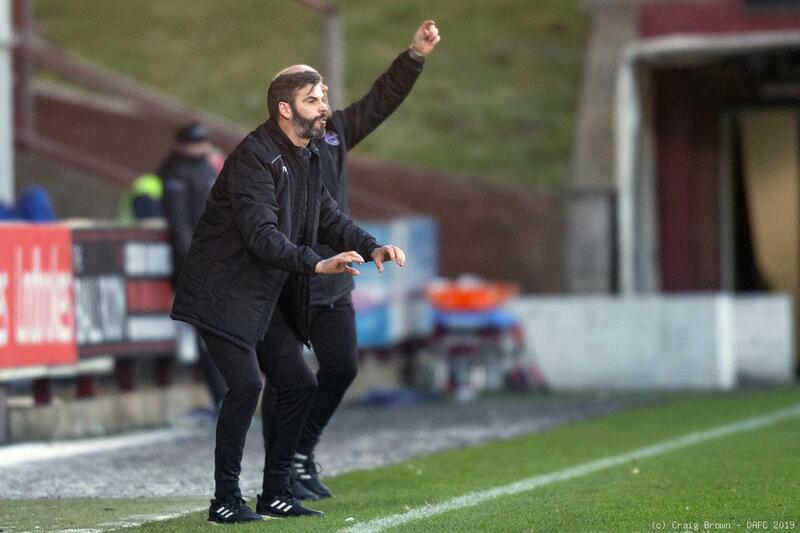 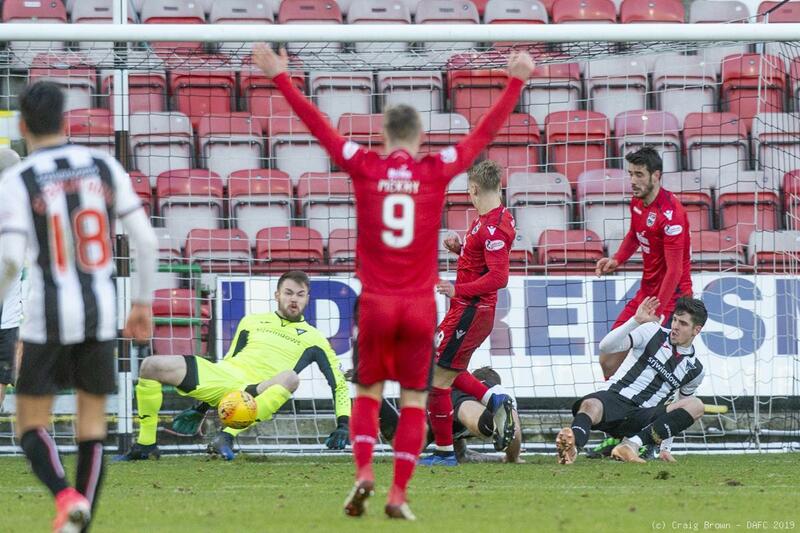 Since defeating Morton 3-0 at East End Park on 1st December, the Pars have drawn four, won one and lost two. 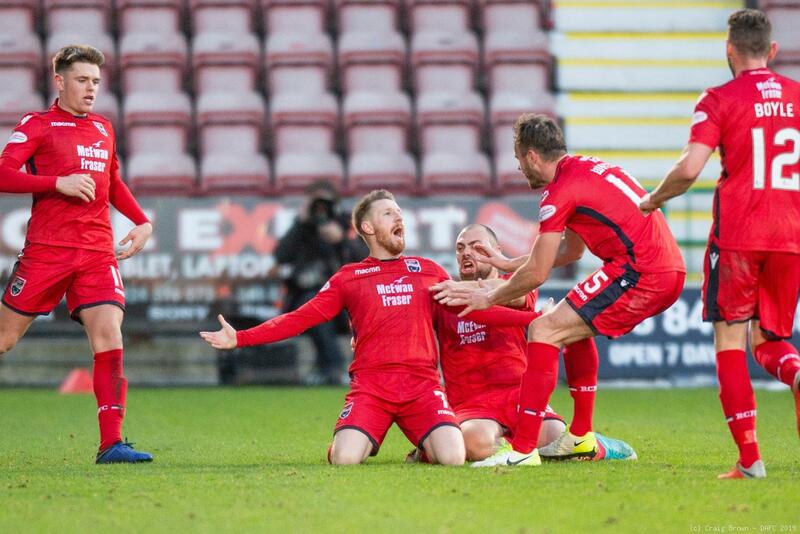 This season the only other home win in the league was against Partick Thistle in September. 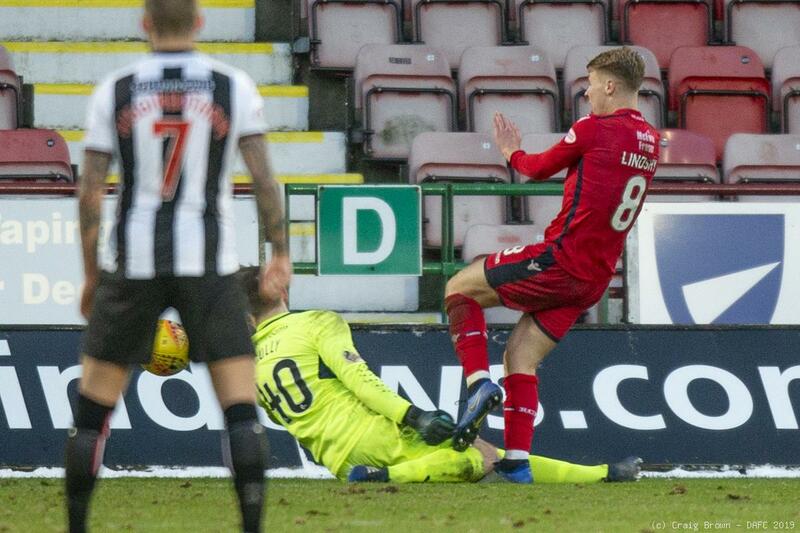 Ross County have only won four of their away league games this season, those at Tannadice, Firhill, Alloa and of course at East End Park. 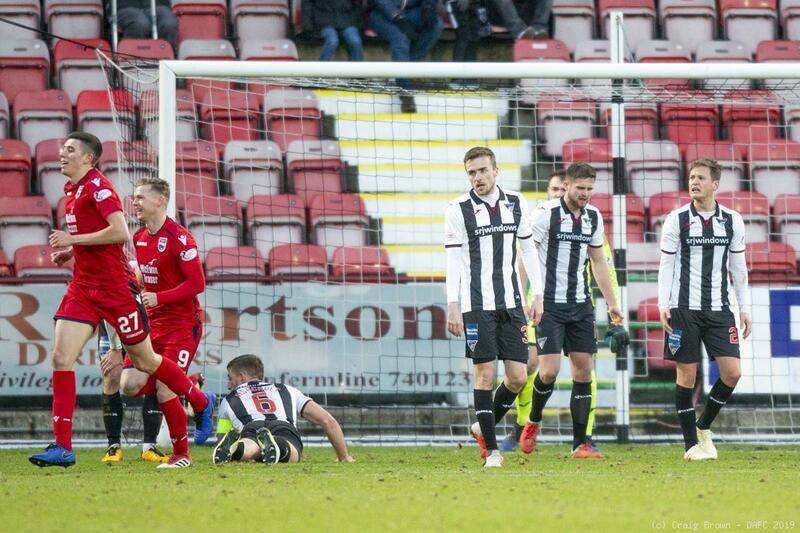 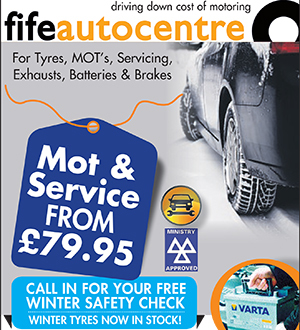 They have lost their last two league games on the road at Greenock and Dumfries when they also failed to score. 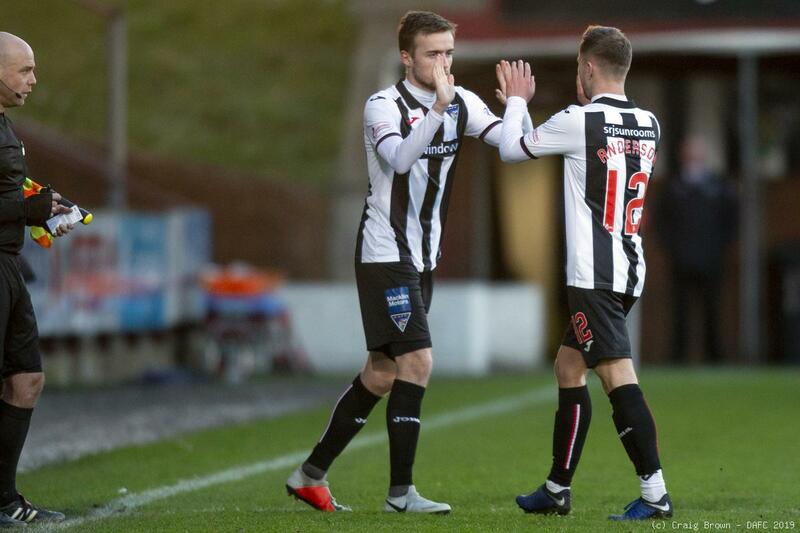 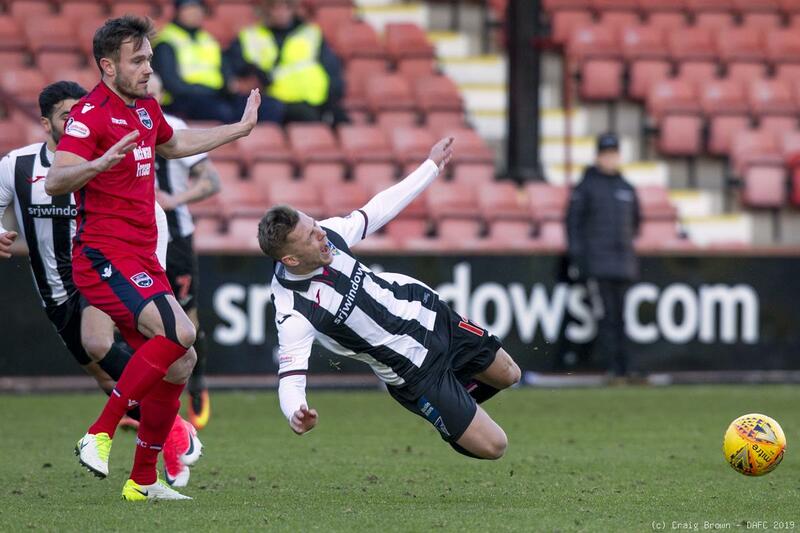 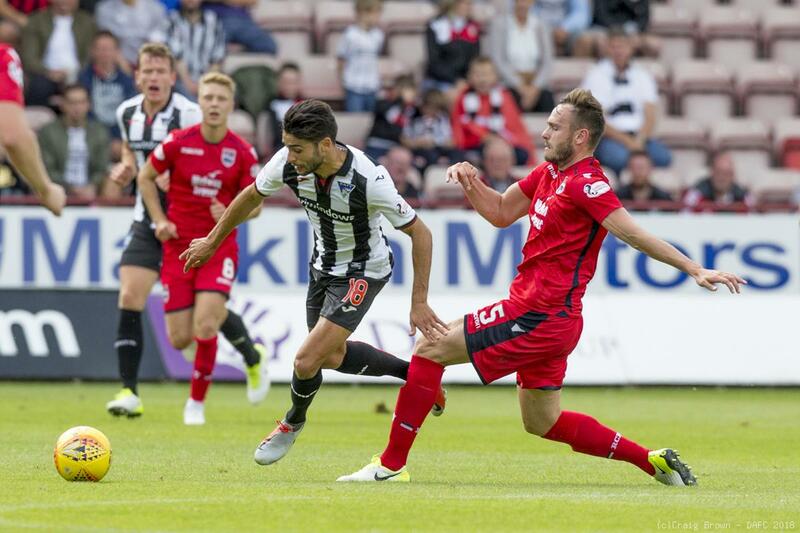 Dunfermline have scored six in their last four league matches but they have failed to score in five of the last seven. 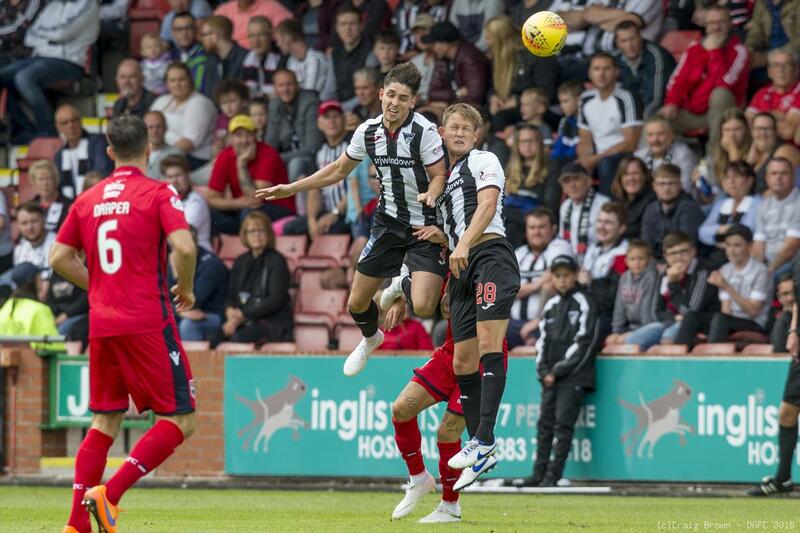 DUNFERMLINE (v Morton): Ryan Scully: James Craigen, Lee Ashcroft (c), Danny Devine, Jackson Longridge: Tom Beadling: Joe Thomson, James Vincent, Kallum Higginbotham: Callum Smith (Robbie Muirhead 88), Faissal El Bakhtaoui (Myles Hippolyte 65). 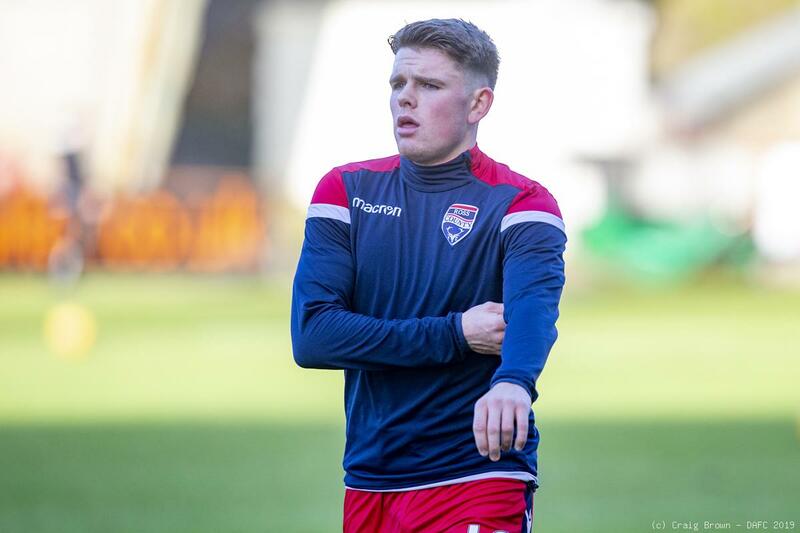 ROSS COUNTY (v Alloa Athletic): Scott Fox: Marcus Fraser, Sean Kelly (C Semple 45), Kenny van der Wag, Keith Watson, Ross Draper, Jamie Lindsay, Lewis Spence (Don Cowie 75), Billy McKay (Michael Gardyne 78), Declan McManus, Brian Graham. 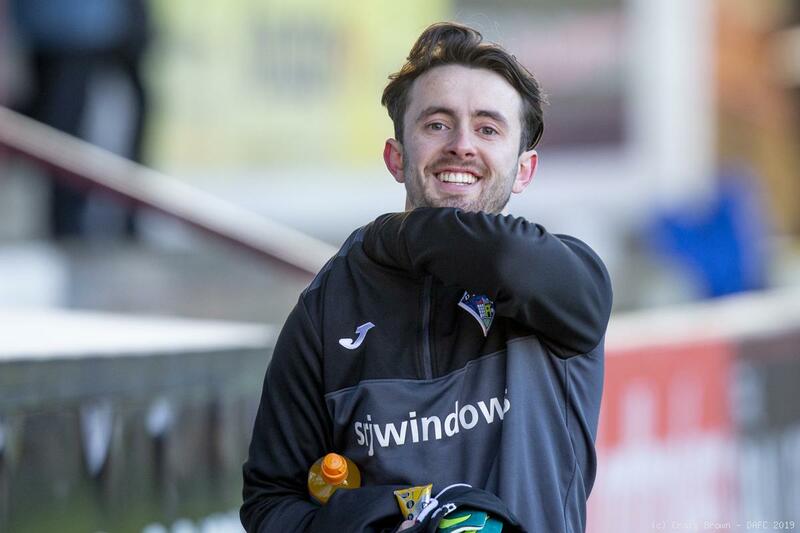 County have made several signings during the January transfer window. 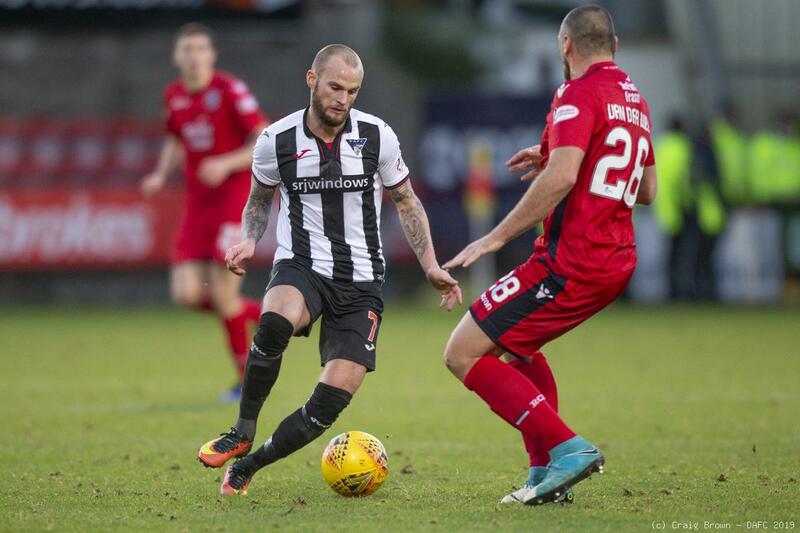 Left-back, Kenny Van Der Weg (27) returned to Dingwall after leaving in January 2018, he has since been at Hamilton Academical FC and more recently KSV Roeselare, Belgium. 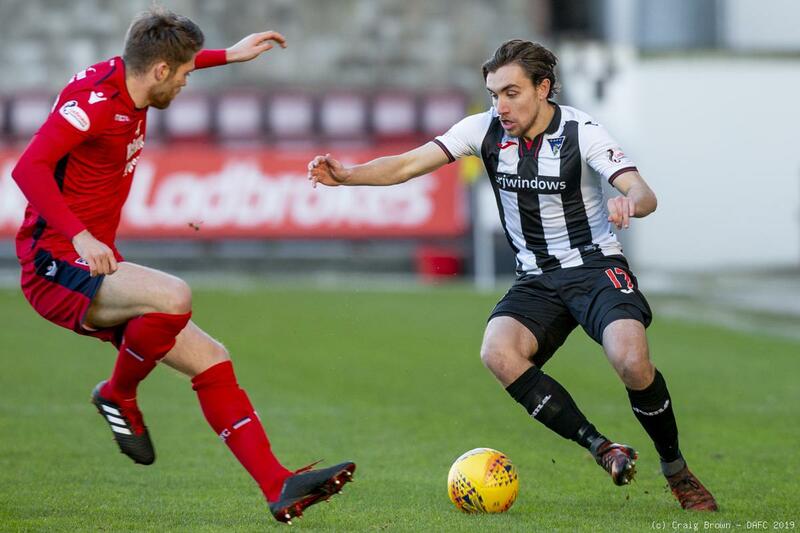 Pictured below midfielder, Lewis Spence (22) joined after spending the last 18 months with Dundee FC and played a total of 37 times for them. 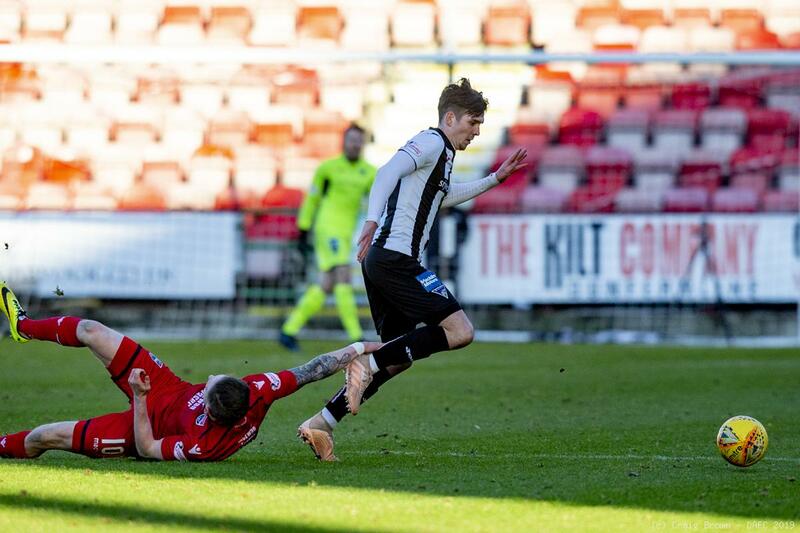 He was previously at Dunfermline Athletic, who twice loaned him to Brechin City in 2016. 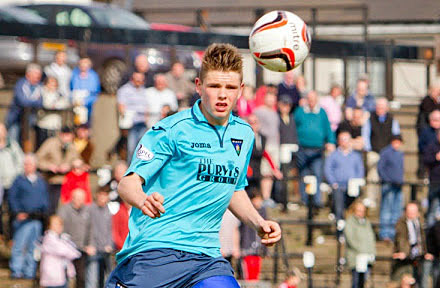 Another Staggies signing was defender, Callum Semple (20). 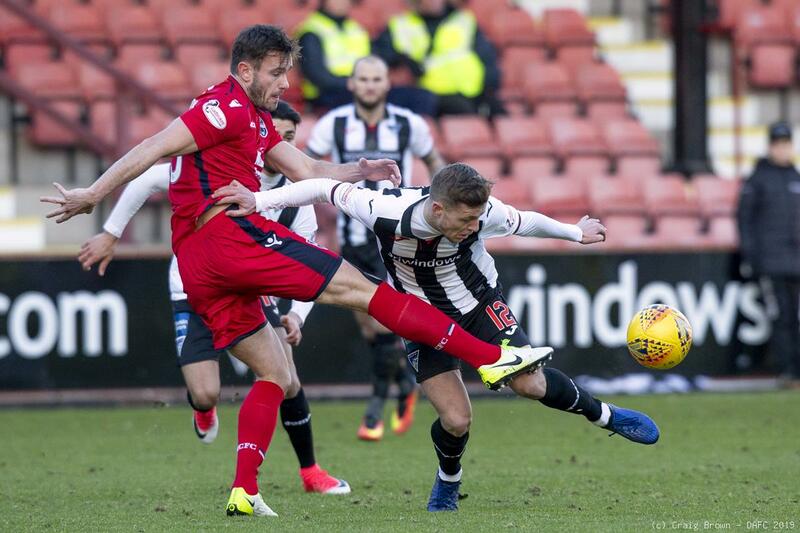 He has spent the first half of this season on loan with Queen of the South FC from Sheffield United - playing 27 games and scoring 1 goal. 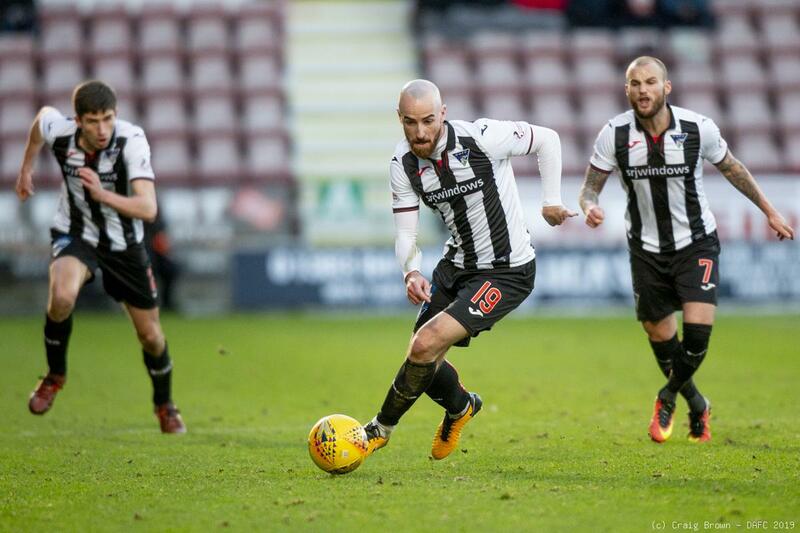 Daniel Armstrong (21) was on loan at Dunfermline last season and played against his old team in the Scottish Cup tie at Raith two weeks ago. 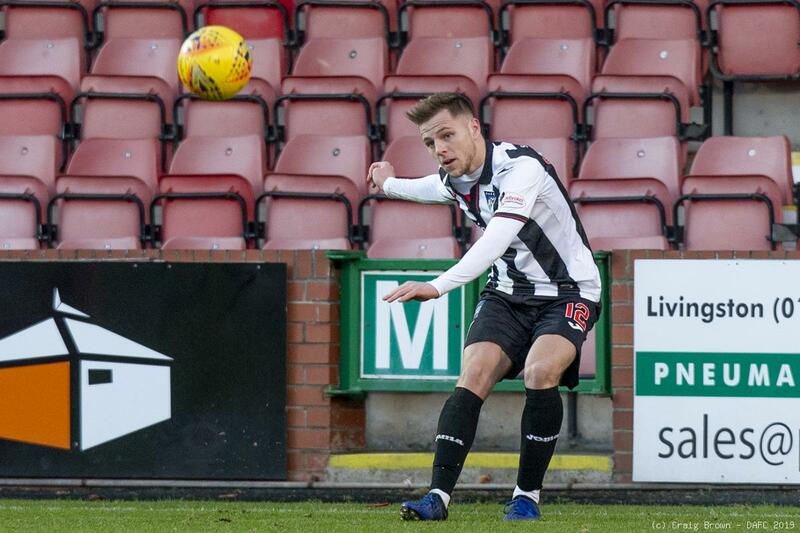 The highly-rated winger scored 5 goals in 11 appearances for Raith Rovers FC after joining them on a short-term deal in November 2018. 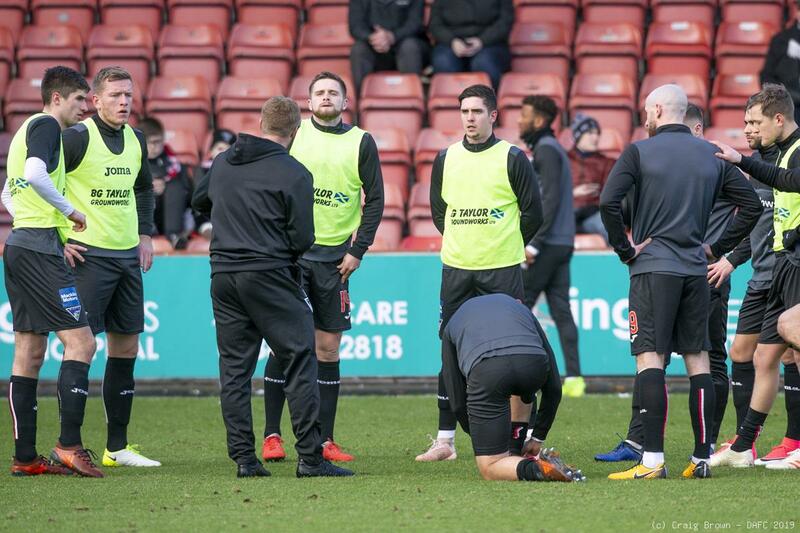 Prior to his breakthrough in Kirkcaldy, Armstrong spent time with Wolves and Hamilton Academical FC. 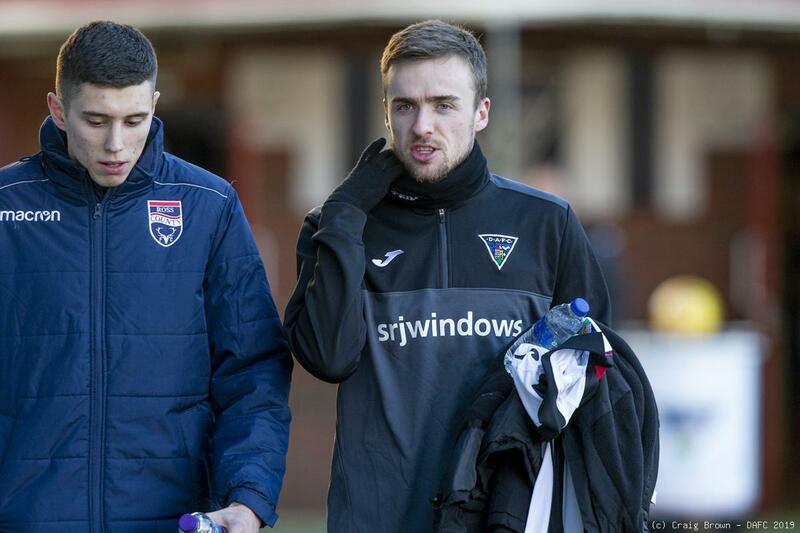 Preston North End FC defender, Andrew Boyle (27) has joined Ross County. 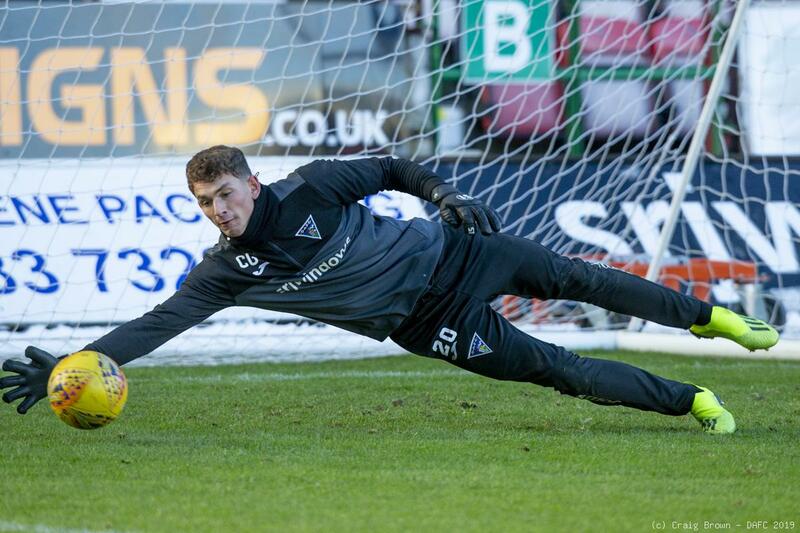 on loan until the end of the season. 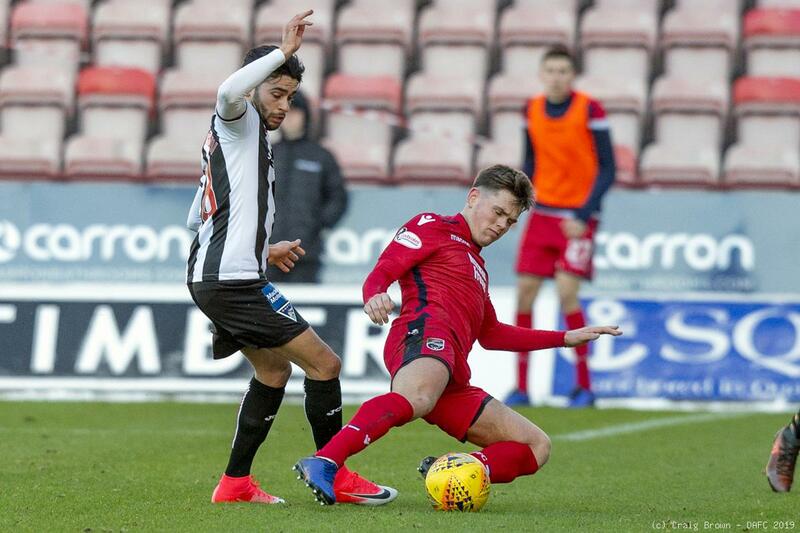 Boyle spent the first half of this season on loan with Dundee FC from Preston North End - playing 13 games and scoring 1 goal. 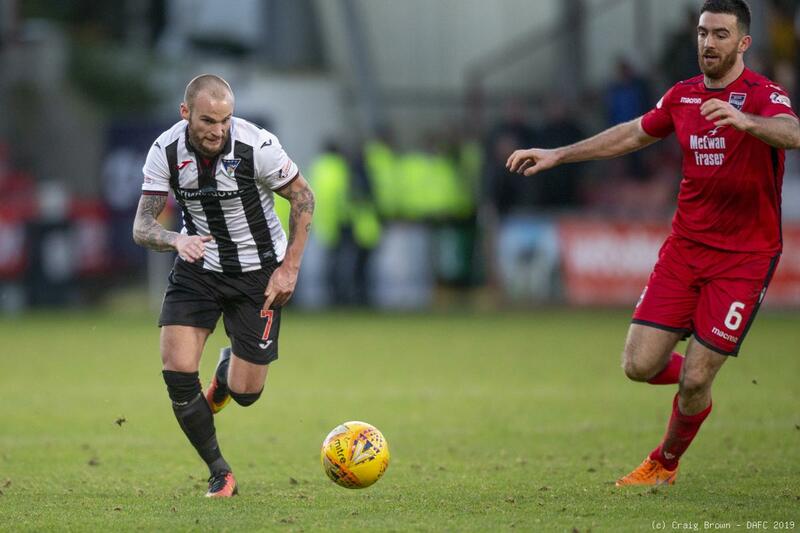 Andrew has spent most of his career in the Irish league with the likes of Dundalk and Shelbourne before heading to the English Championship in 2017. 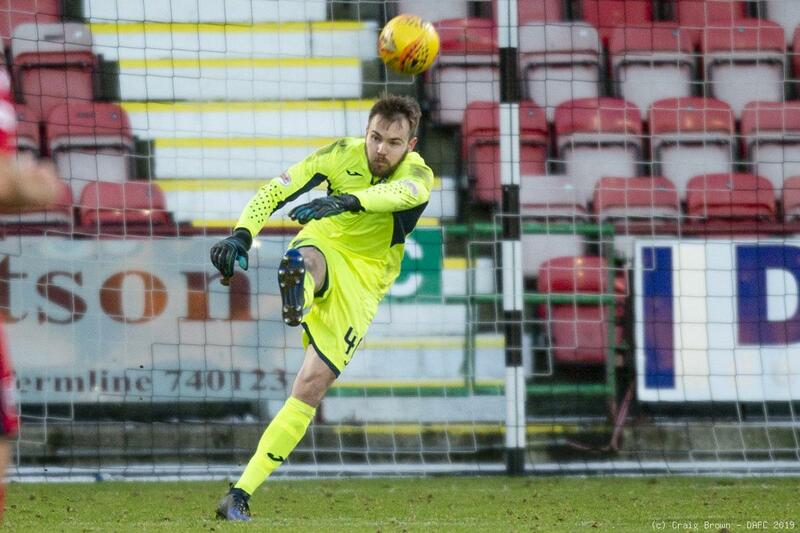 He has one full cap for the Republic of Ireland. 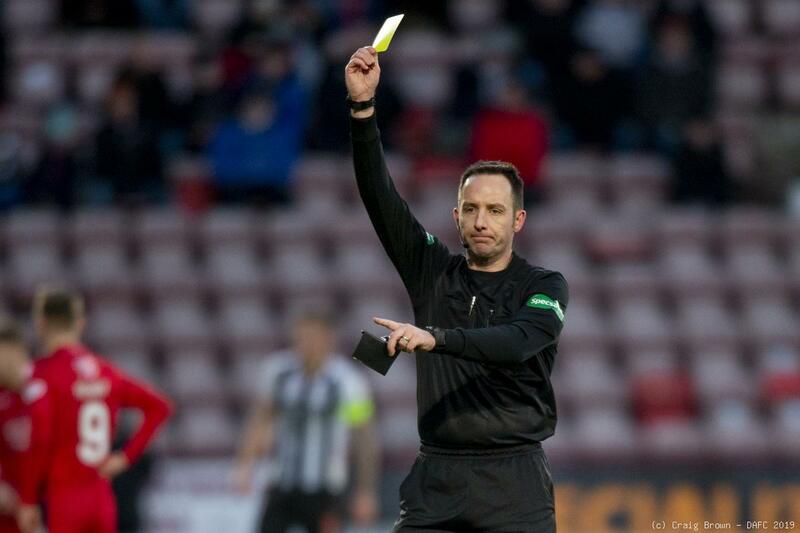 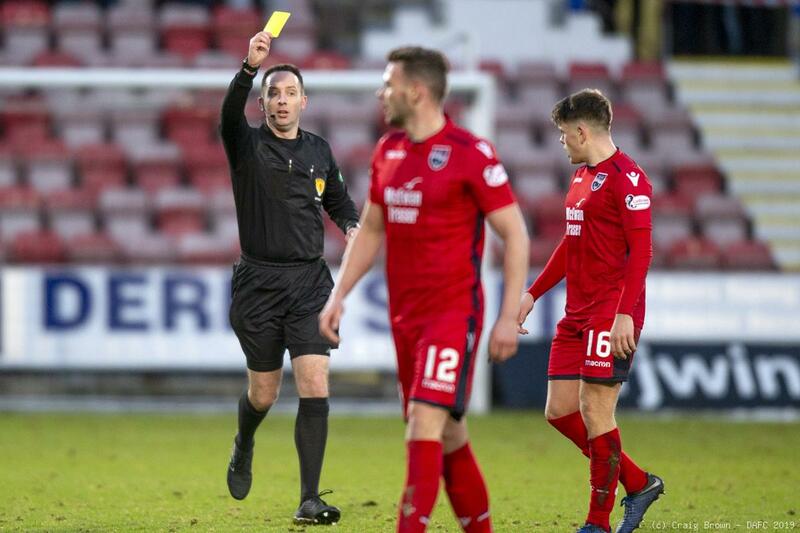 Referee for this match will be Barry Cook, his first match in charge at East End Park since season 2016-2017 when in two visits he showed red cards to Lee Ashcroft and Lewis Martin.